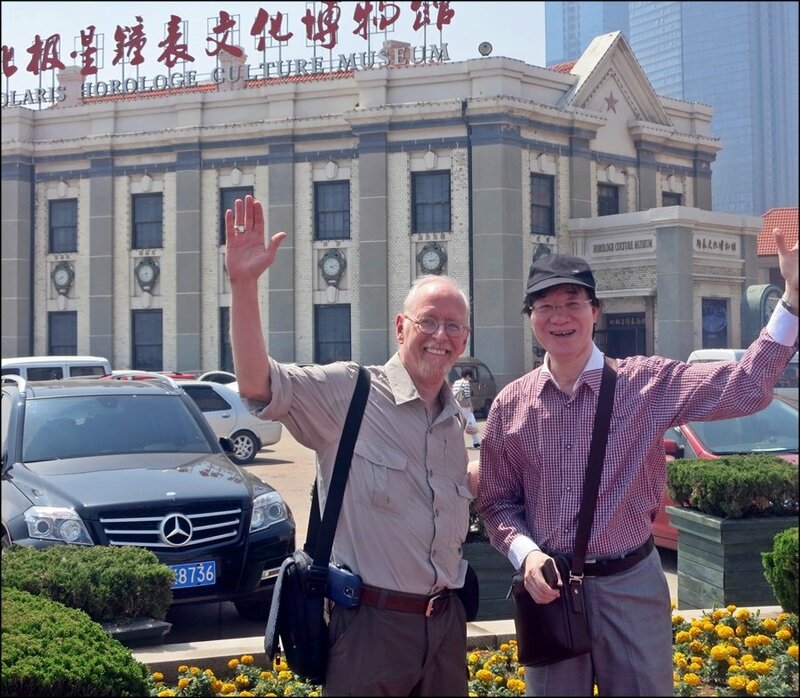 June 11th and 12th started with Li Wei, calligrapher Mr. Zheng, and I taking a morning fast train to Tianjin to see a Mr. Li Qiu-sheng's clockmaking workshop. 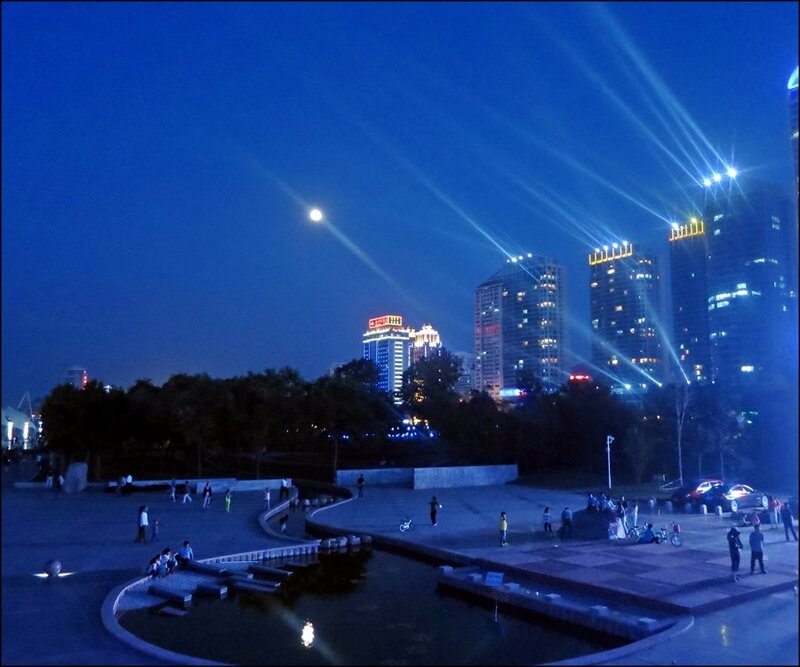 I had been told to bring my suitcases as we would be doing an overnighter trip to Yantai after Tianjin, with a stop in the evening in Jinan, so it was promising to be a busy couple/three days. 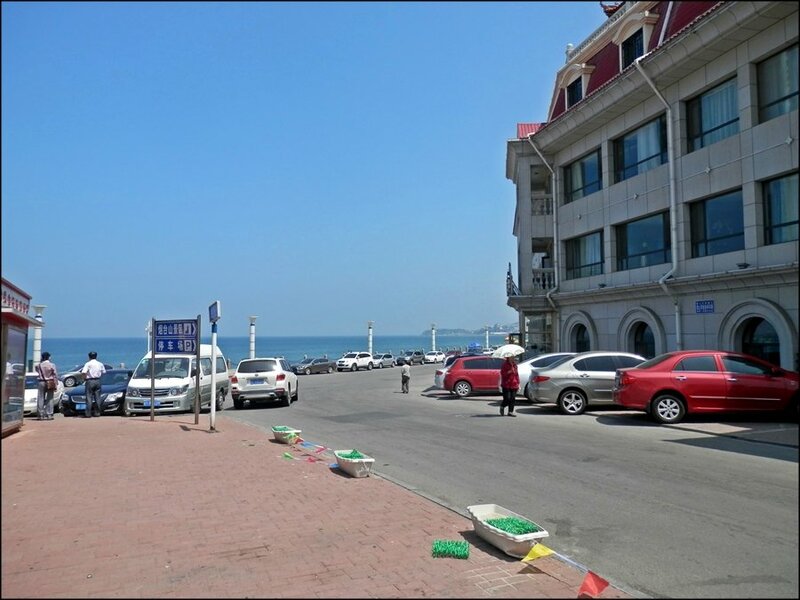 My plan was to fly from Yantai to Shijiazhuang on the afternoon of the 13th to se my brother MaRong after my time in Yantai, and Li Wei's plan was to fill the time in between as productively as possible. 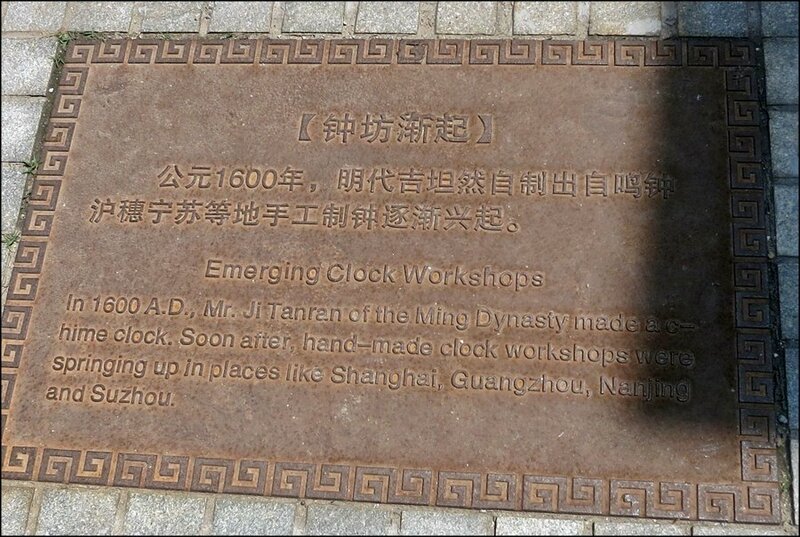 LiWei explained to me during the morning trip to Tianjin that his goal regarding my membership in the China Horologe Association 中國鐘表協會 and my time in China this trip was to educate me more broadly about the Chinese timepiece industry as a whole, meaning I would be shown and taught the Chinese clock industry as well as the watch industry, including quartz, digital and smart, from pop market and entry level to very high-end, and from the beginnings centuries ago to plans for the future. 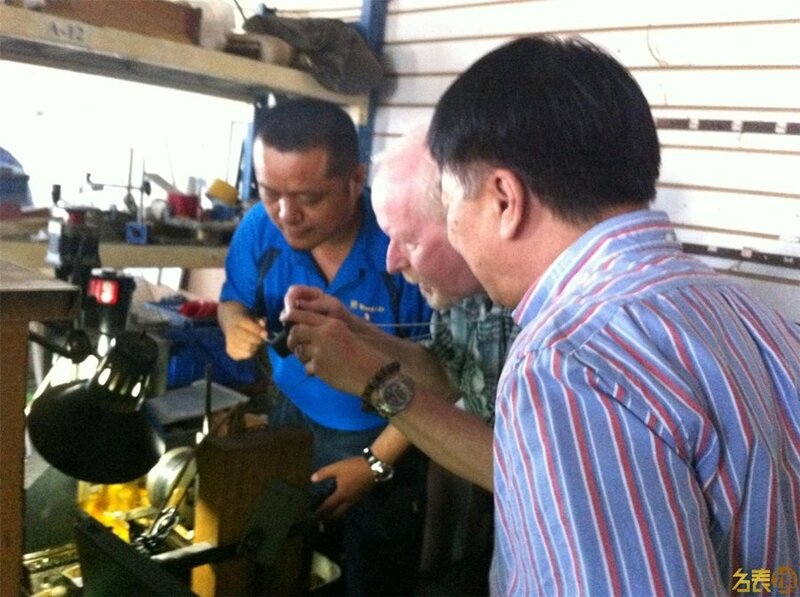 It's plain that I was being offered a spectacular and once-in-a-lifetime opportunity to quickly and efficiently gain a fairly in-depth and up close education about how the entire Chinese watch and clock industry operates, and over the next weeks I did my best to very gratefuly understand and absorb as much as I possibly could of what was being presented to me. 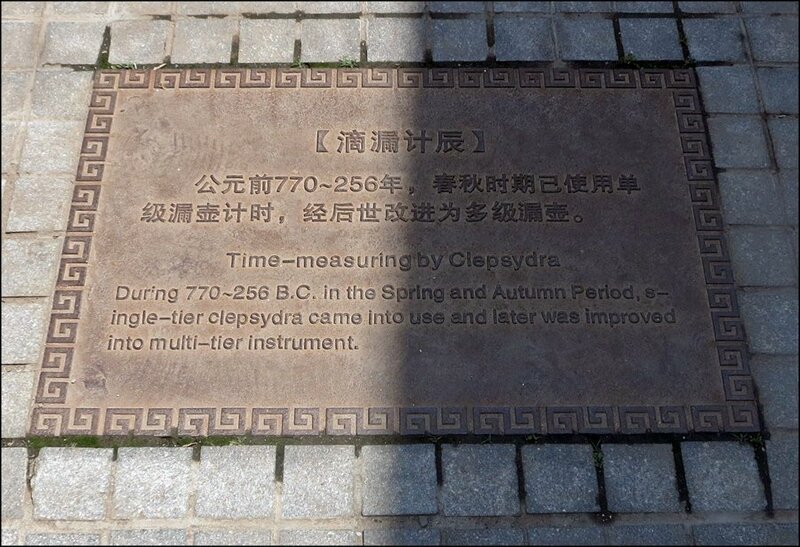 I was deep back in school, and thrilled about it. 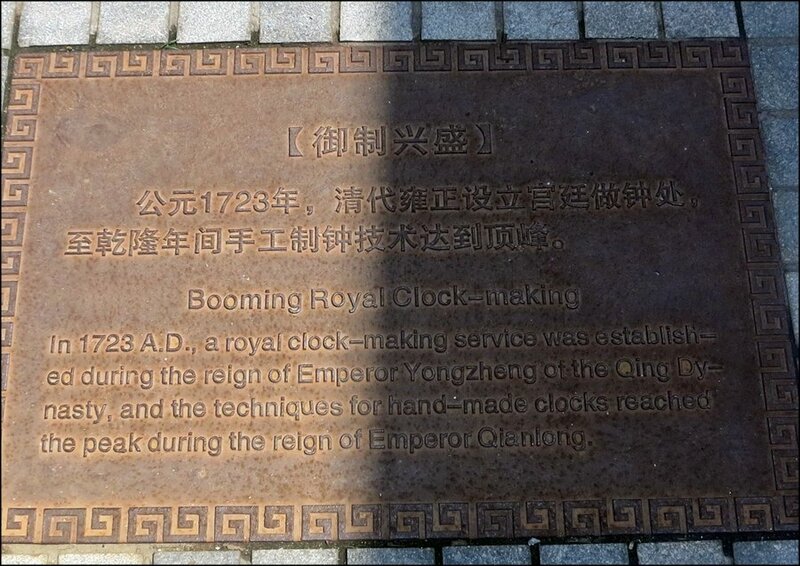 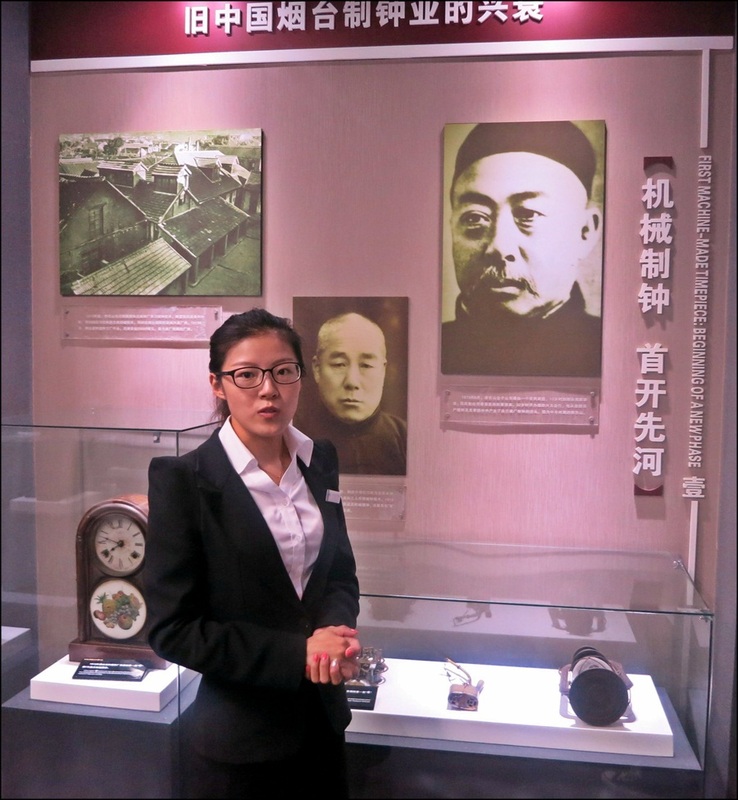 One result of the Chinese Horologe Association's generosity is that I'll be sharing a lot of clock-related information during my posts on this trip, along with watch-related content. 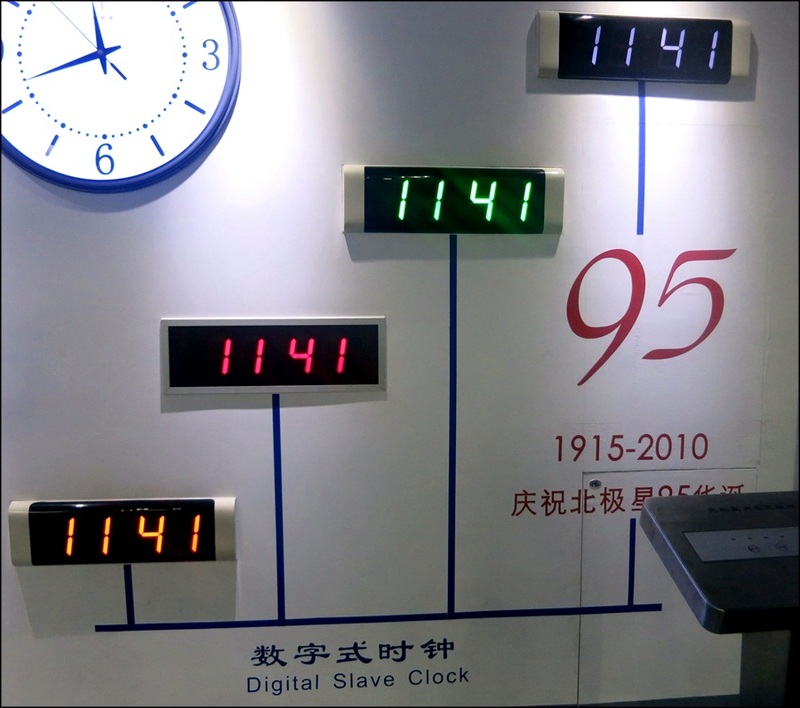 Some companies I encountered make both, other producers are clock-only. 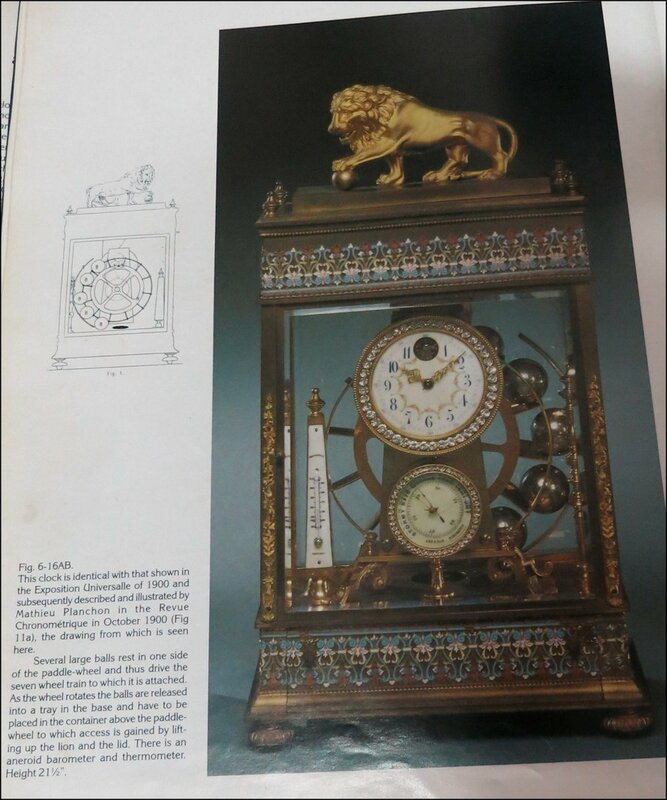 If you have no interest in clocks, please bear with me, I promise there will always be quite pure watch content coming around the corner. 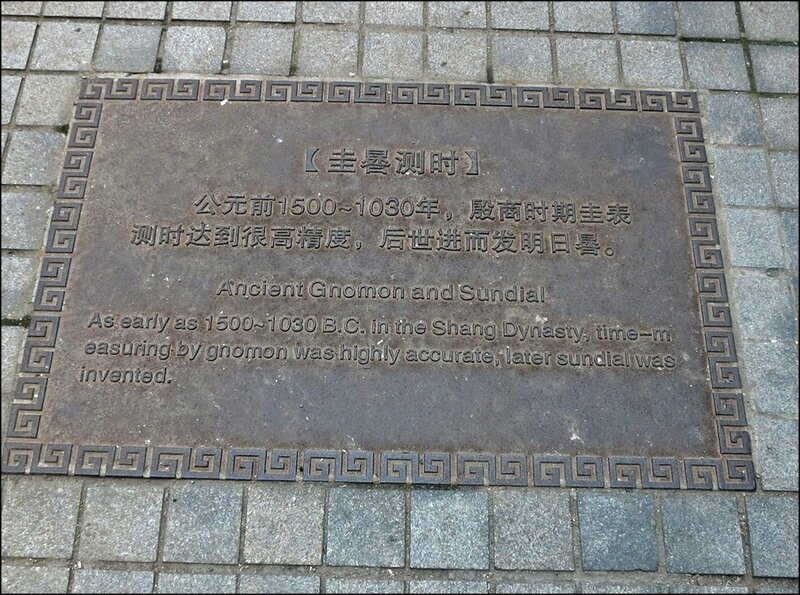 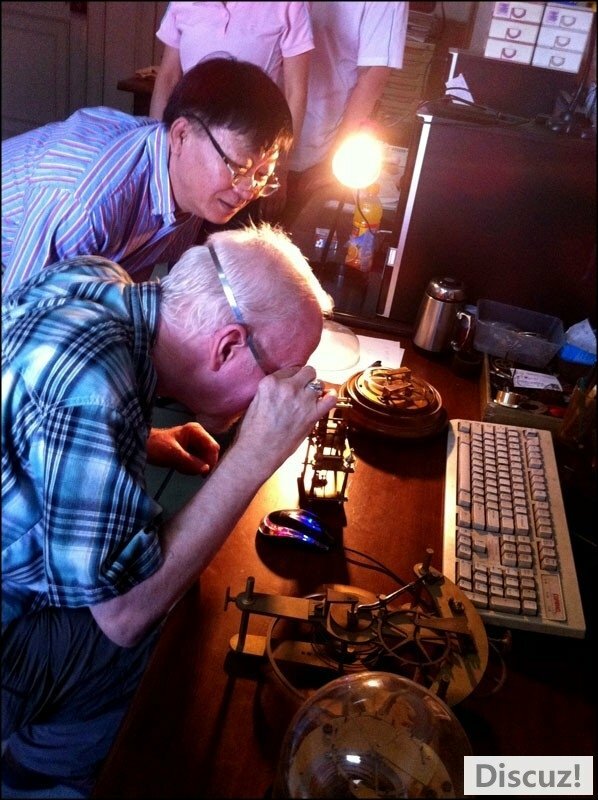 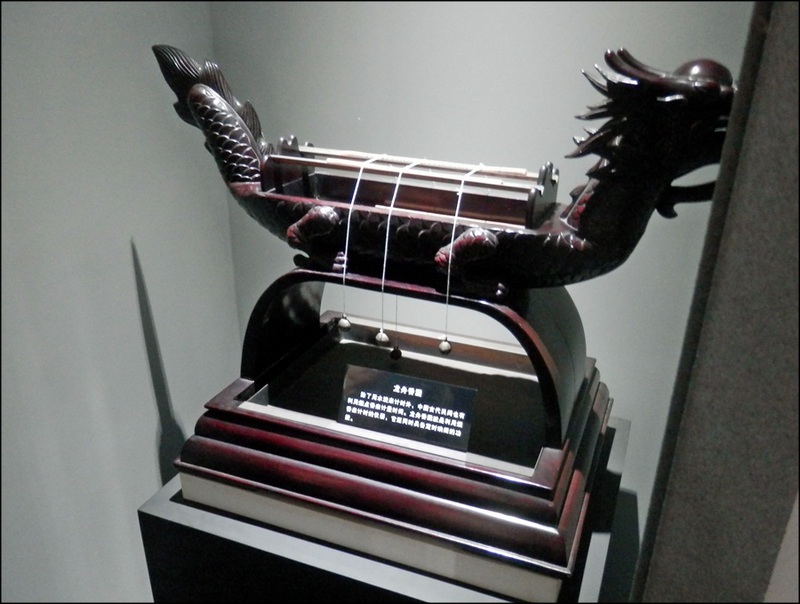 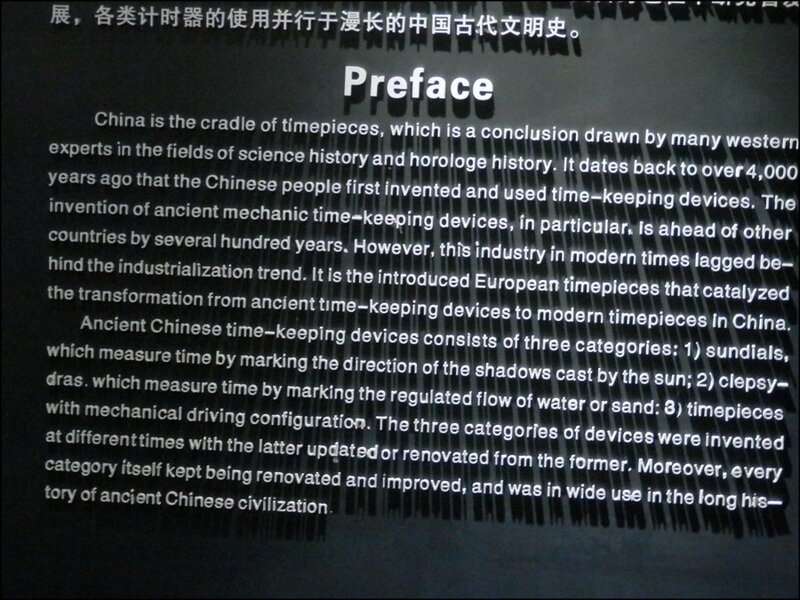 That said, this post -- like others to come -- will contain a lot of wide-ranging information on Chinese horological history, from millenia ago to the present day. 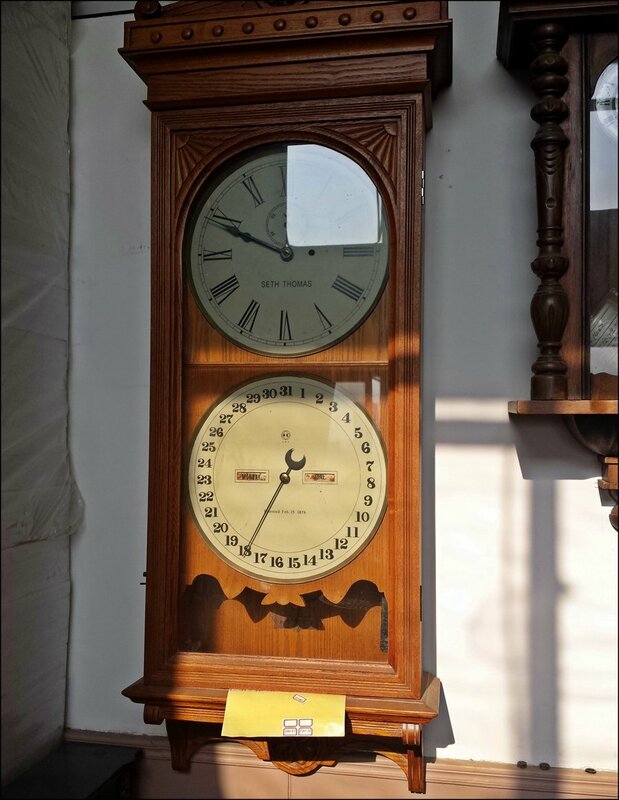 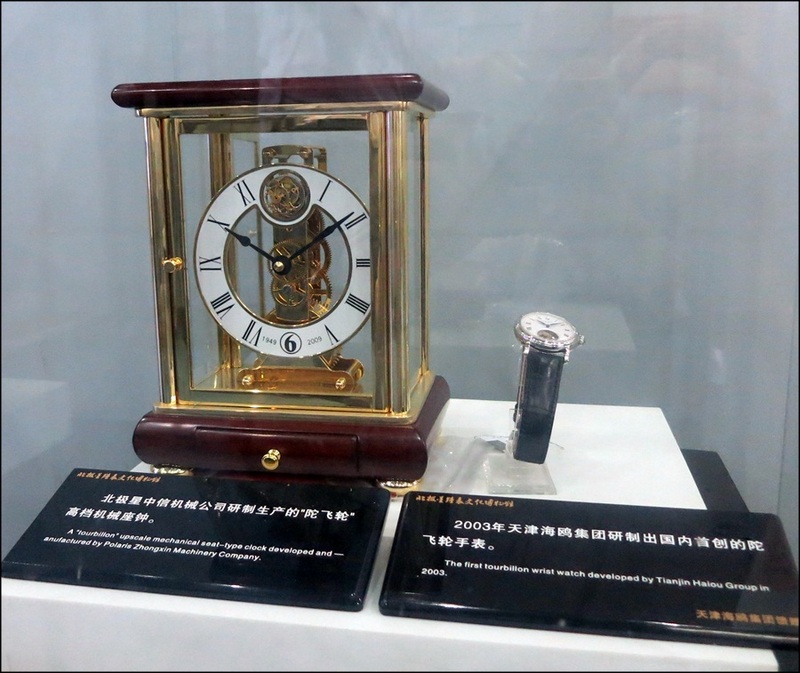 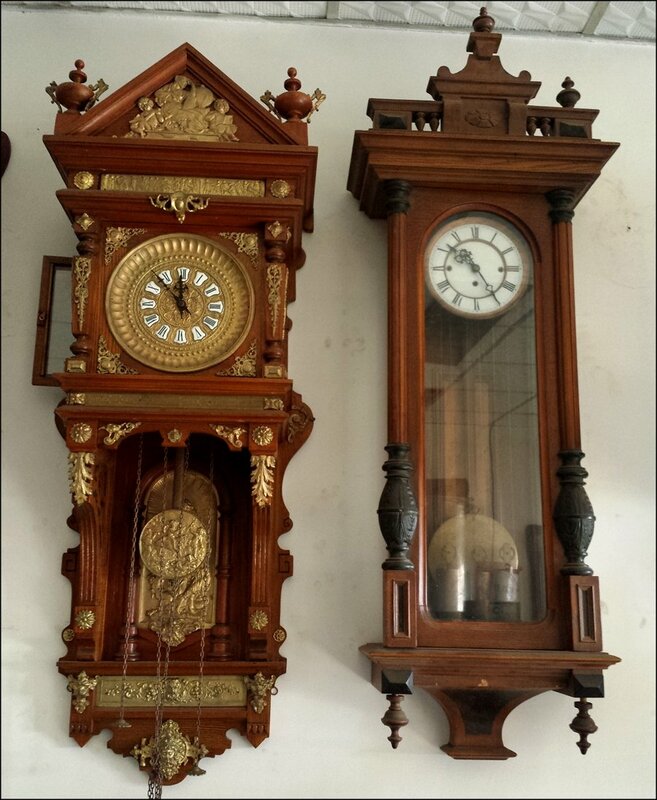 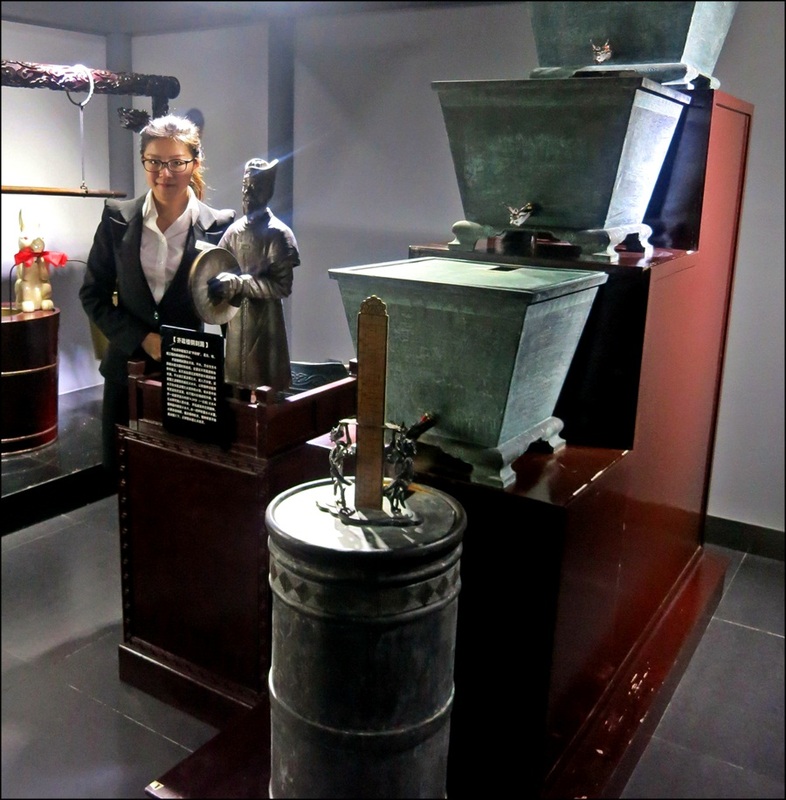 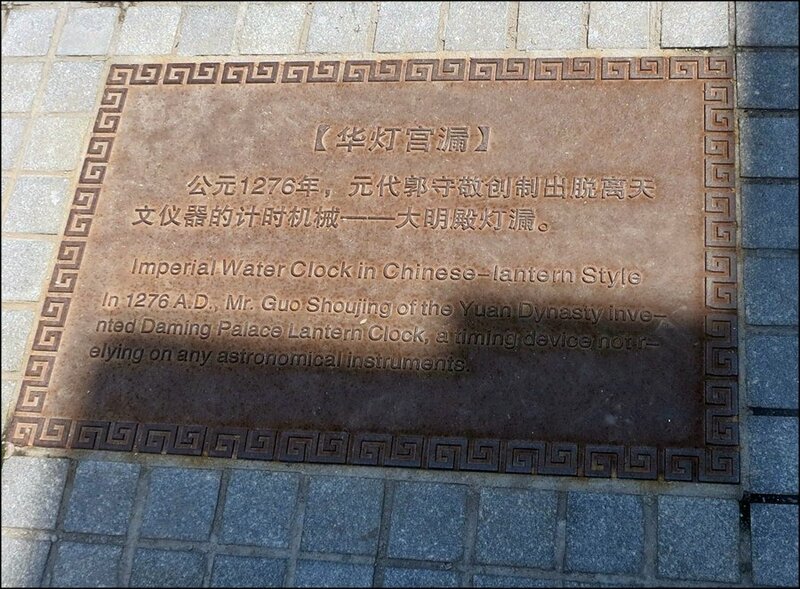 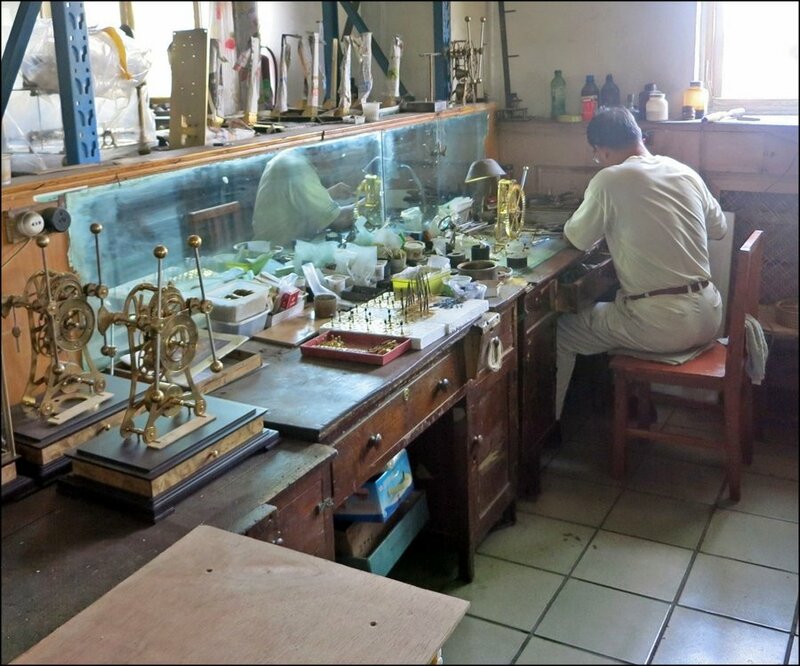 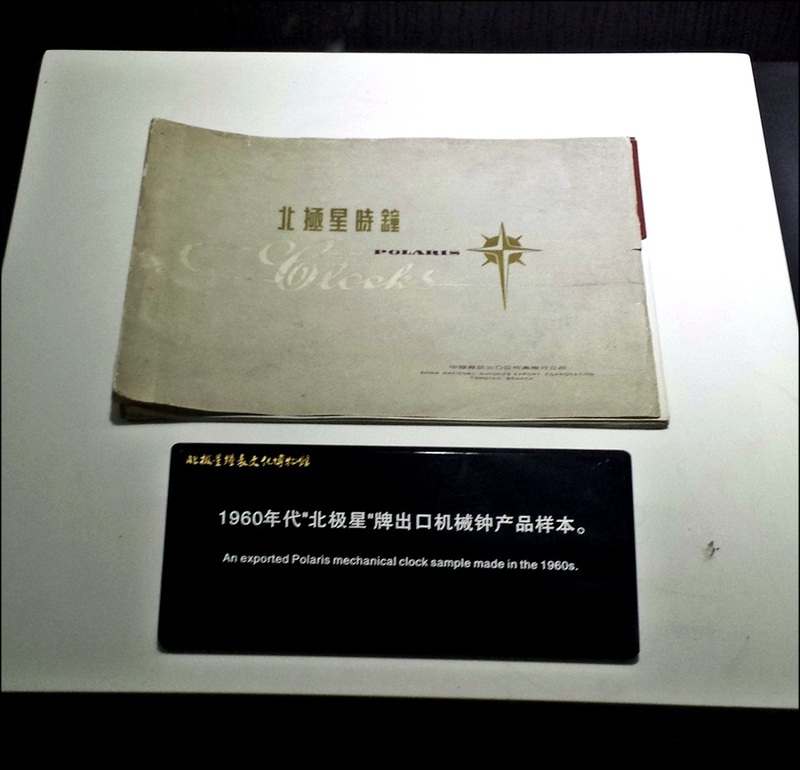 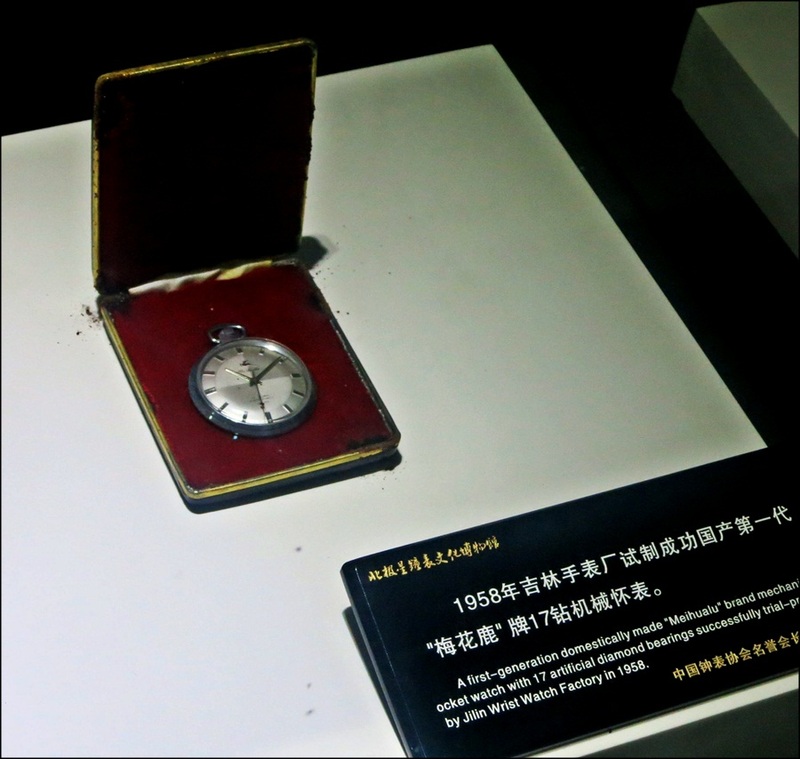 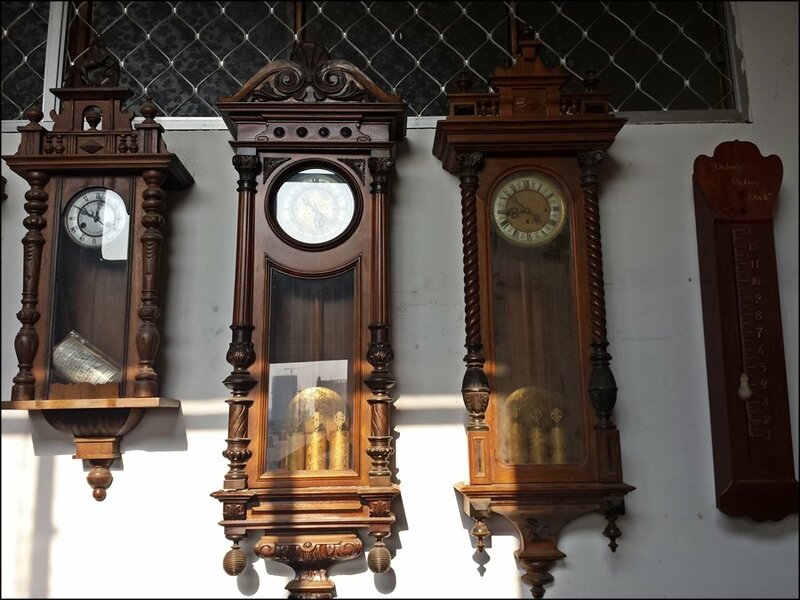 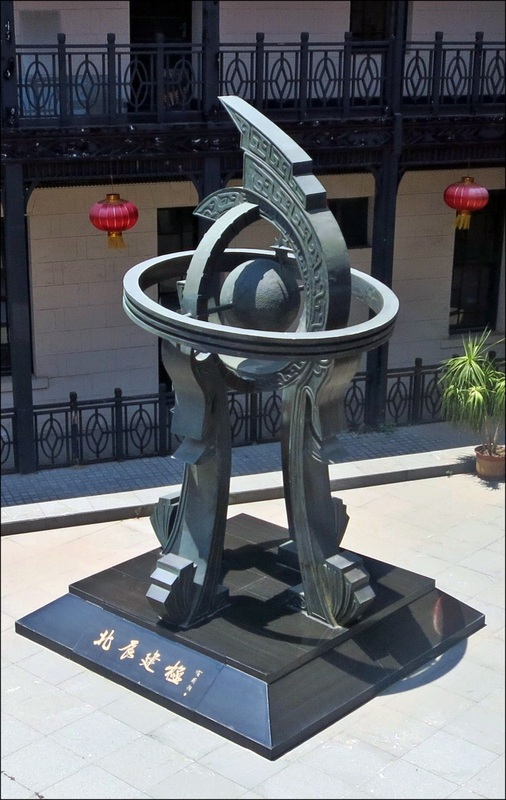 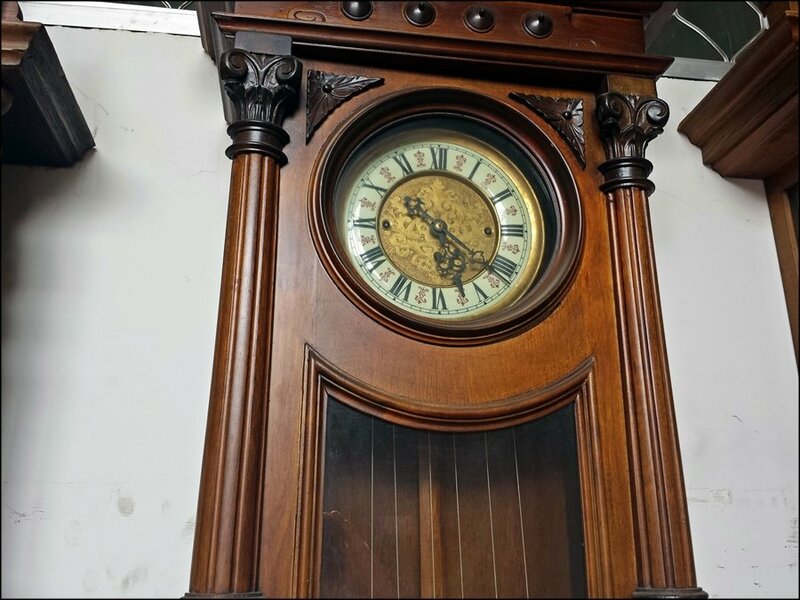 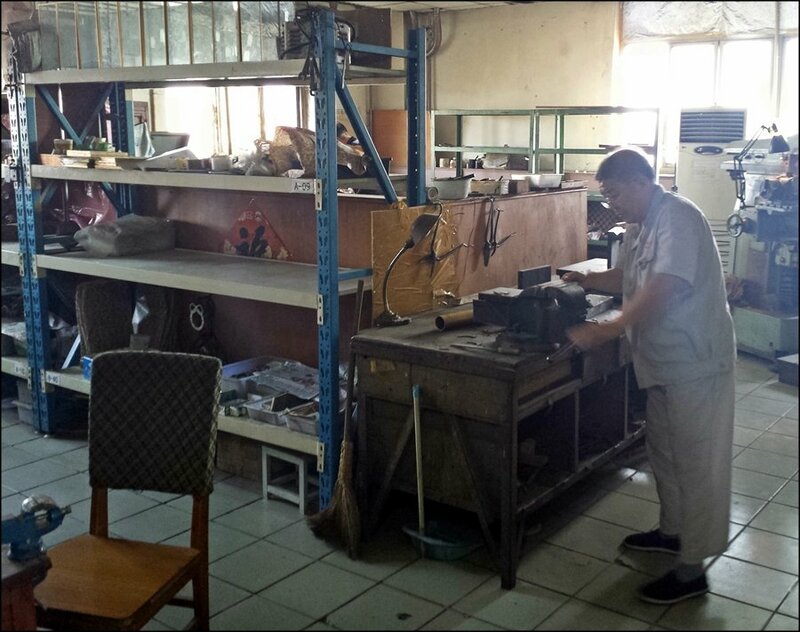 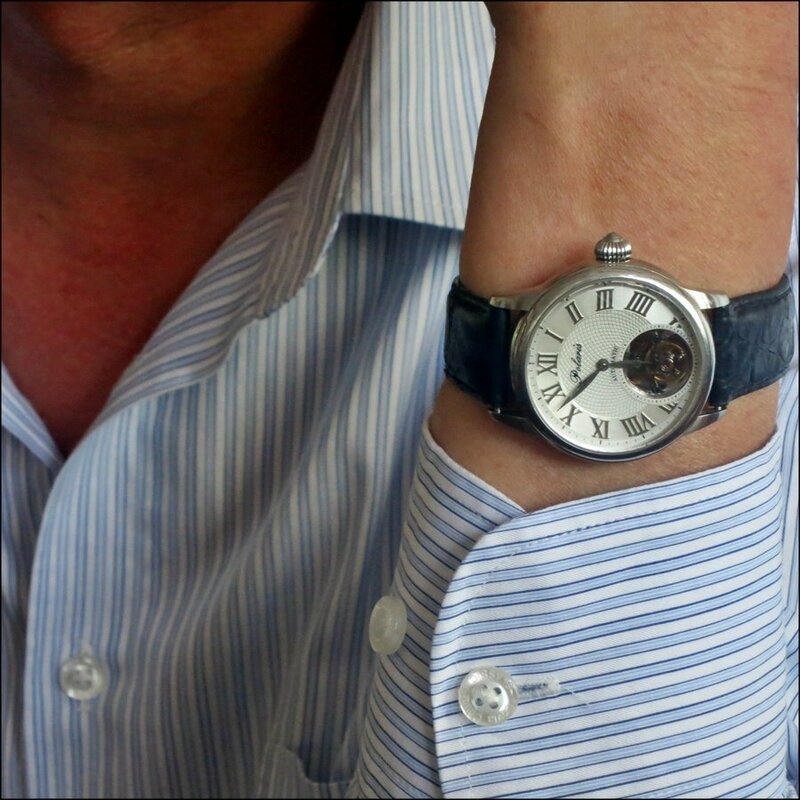 This specific post will focus on two companies, first the Tianjin Edwin Clock Company, Ltd. owned by Li Qiu-sheng (Rick Li), a small but prestigious Tianjin clock workshop (visited on the 11th) and Yantai Polaris State-Holding Co., Ltd., the oldest watch and clock company in China and one of the largest clock companis in the world (visited on the 12th)..
We arrived at Mr. Li's workshop about 11:00 after being picked up at the Tianjin trrin Station by Mr. Li, himself. 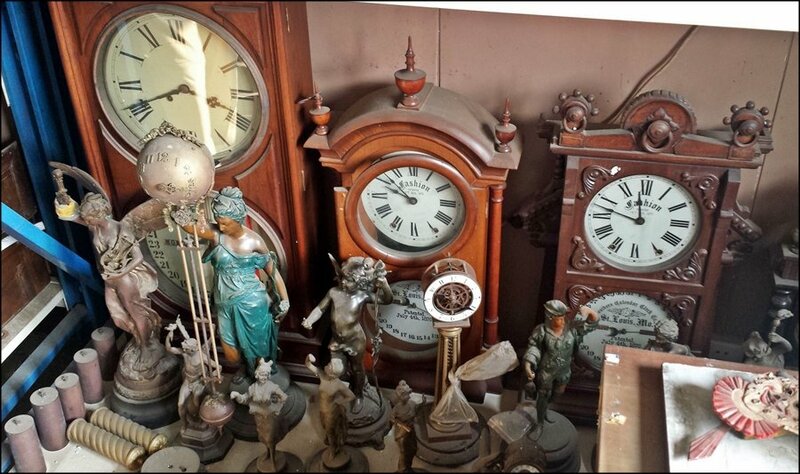 So, where to start? 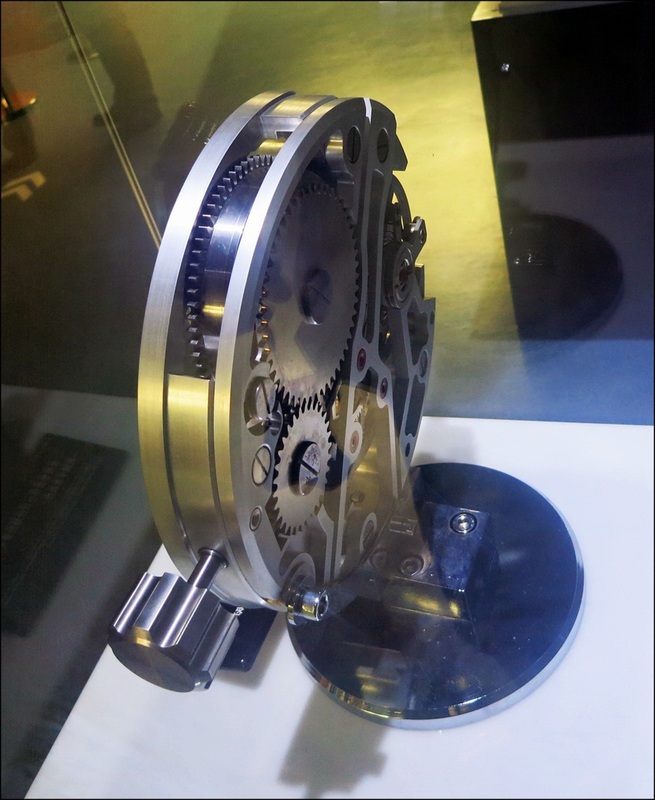 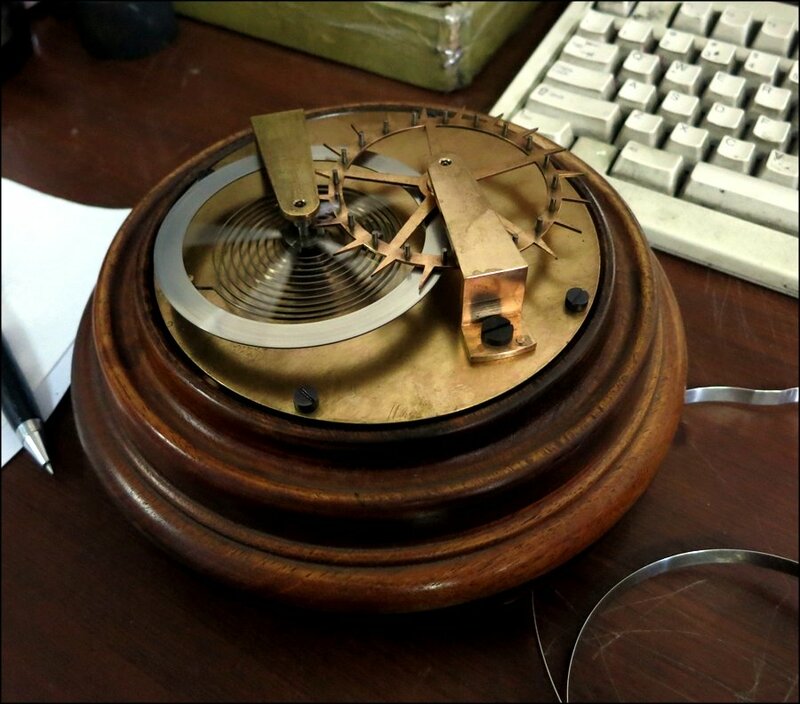 How about with this gorgeous photo of Mr. Li's chain-powered and hand built tourbillon movement (taken by Li Wei...all Discuz marked photo courtesy Li Wei). 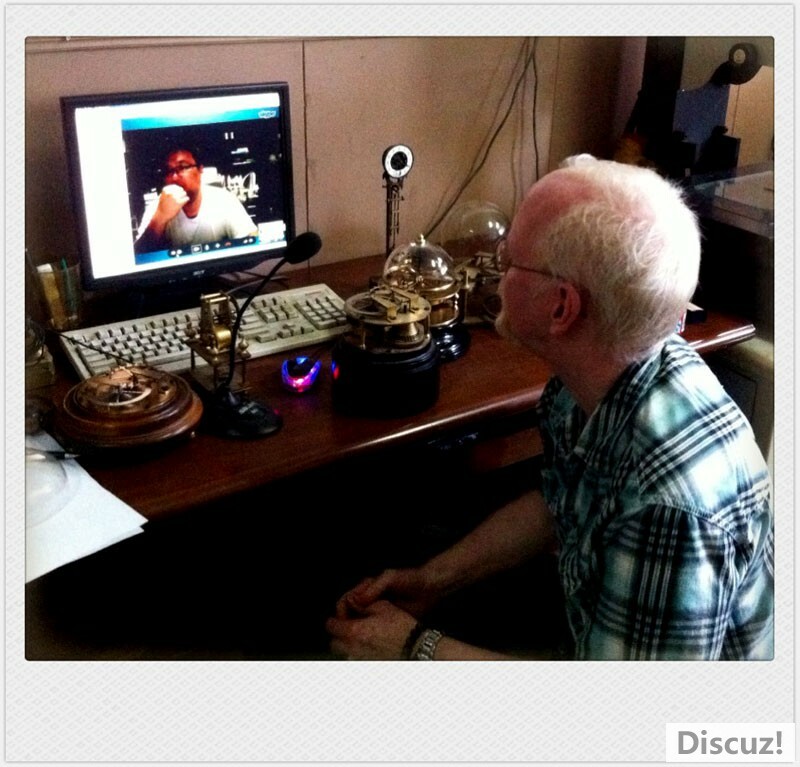 ...and this is a LiWei photo of me having a Skype conversation with Mr. Li's son who handles North American distribution of the clocks. 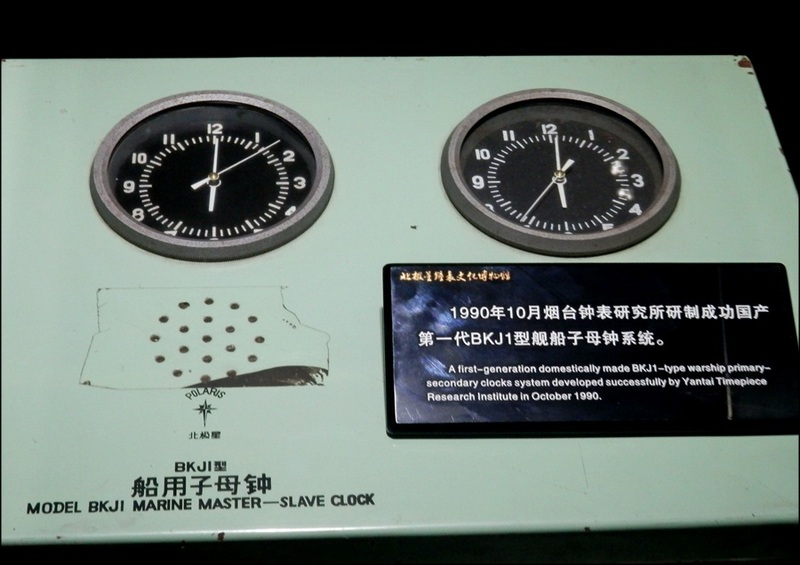 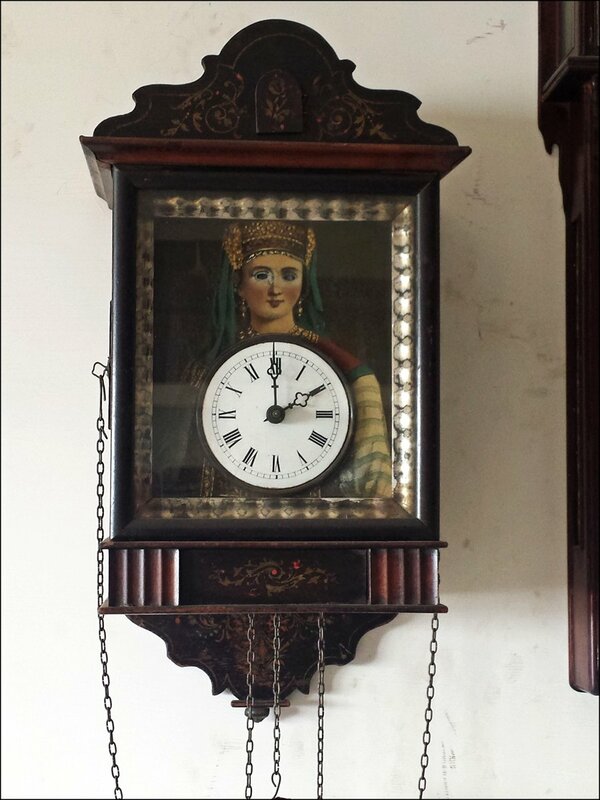 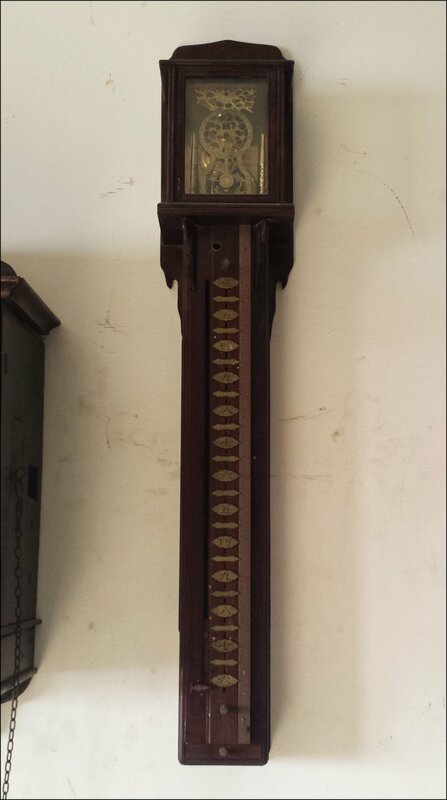 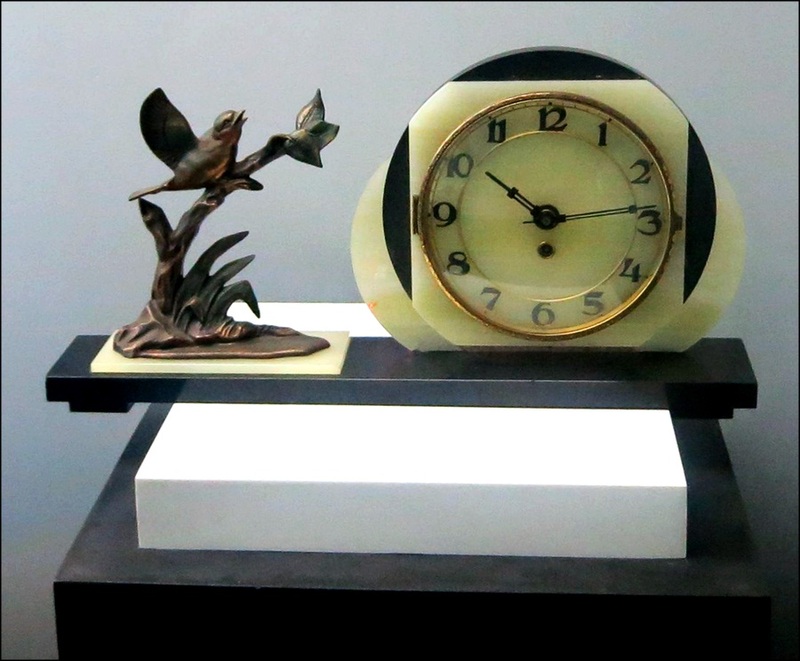 This is one of the more unique reproduction clocks Mr. Li produces at his workshop. 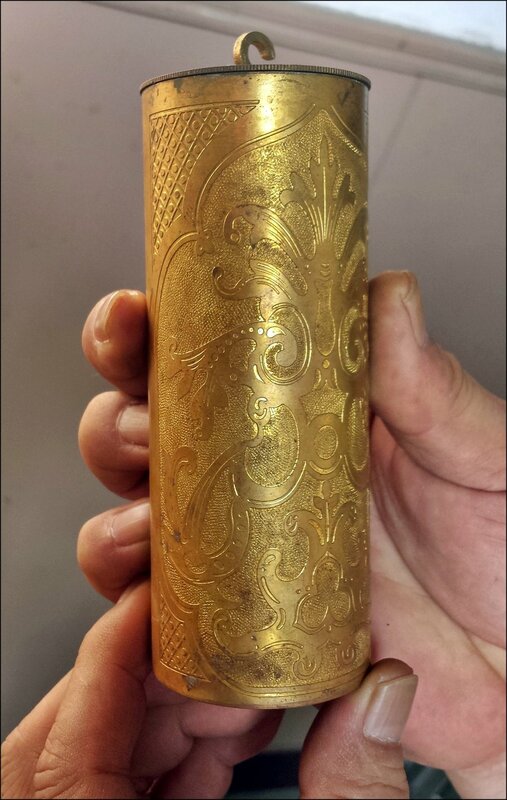 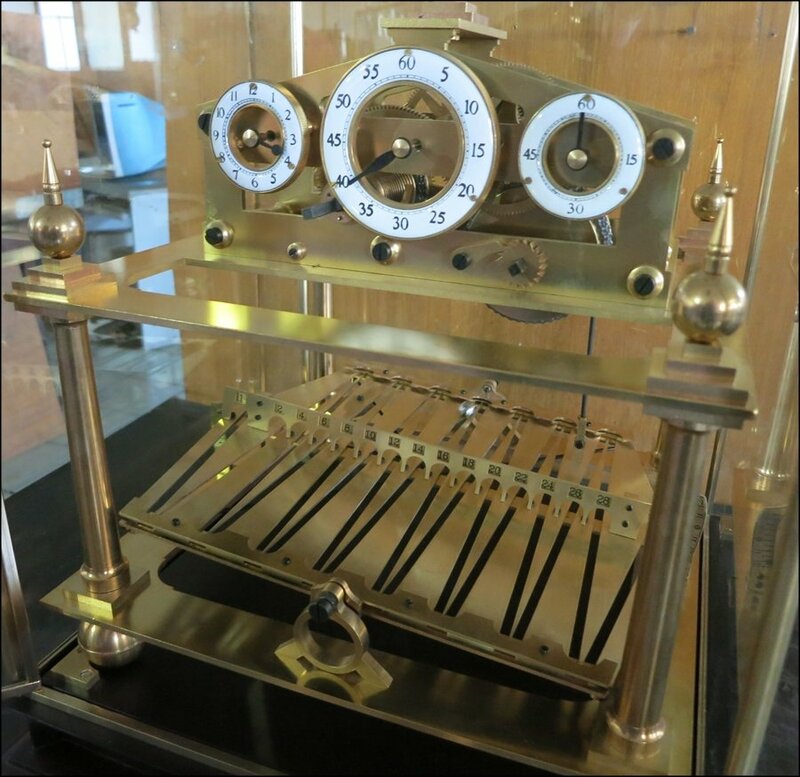 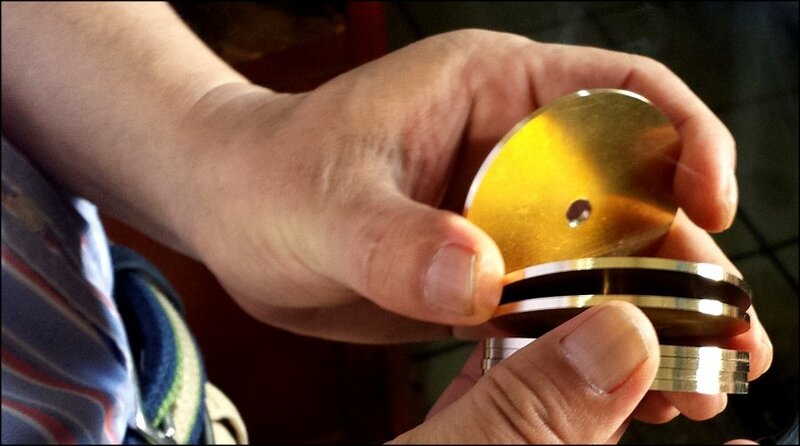 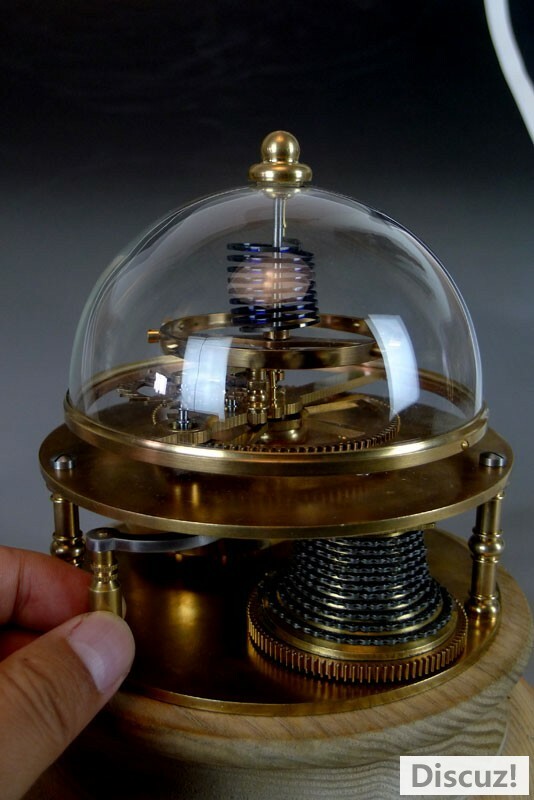 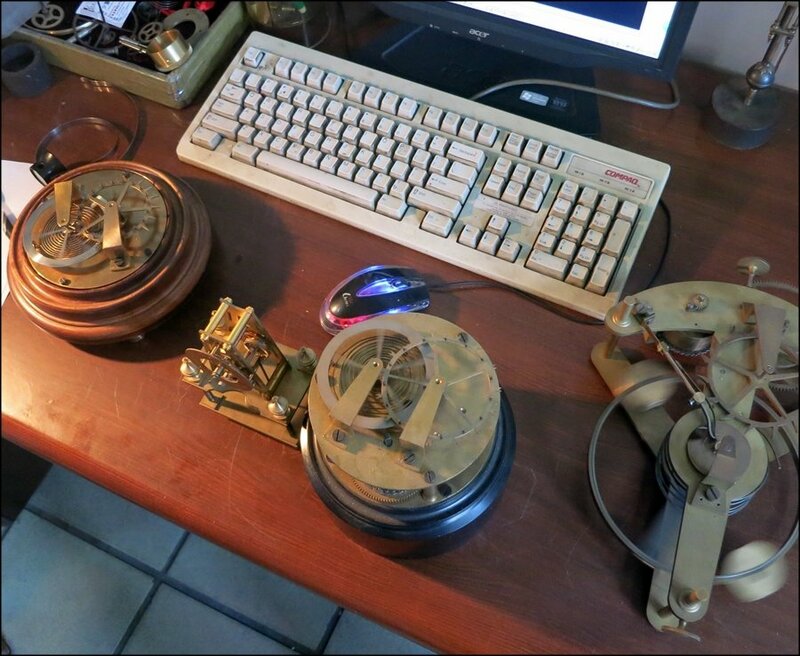 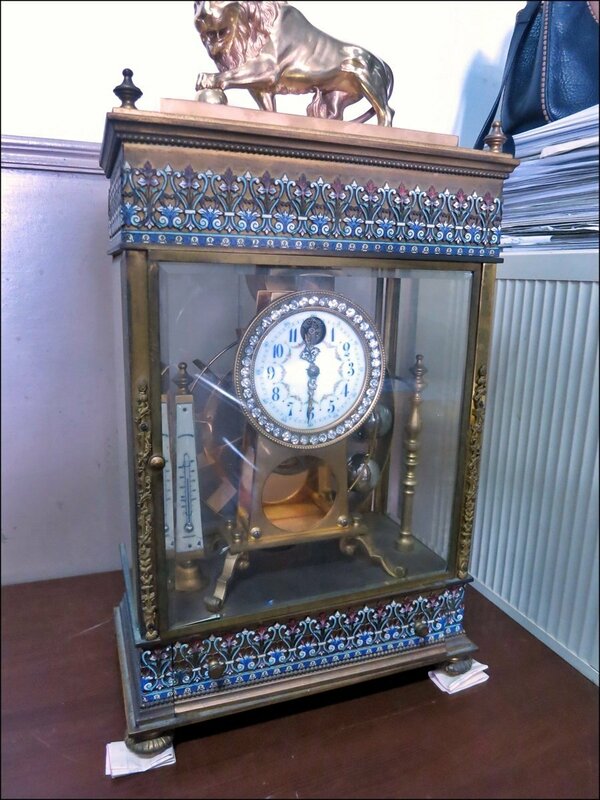 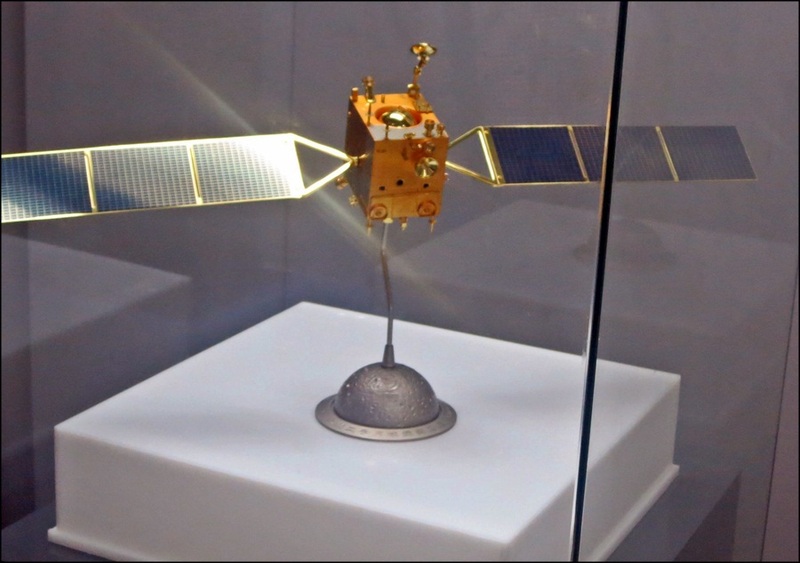 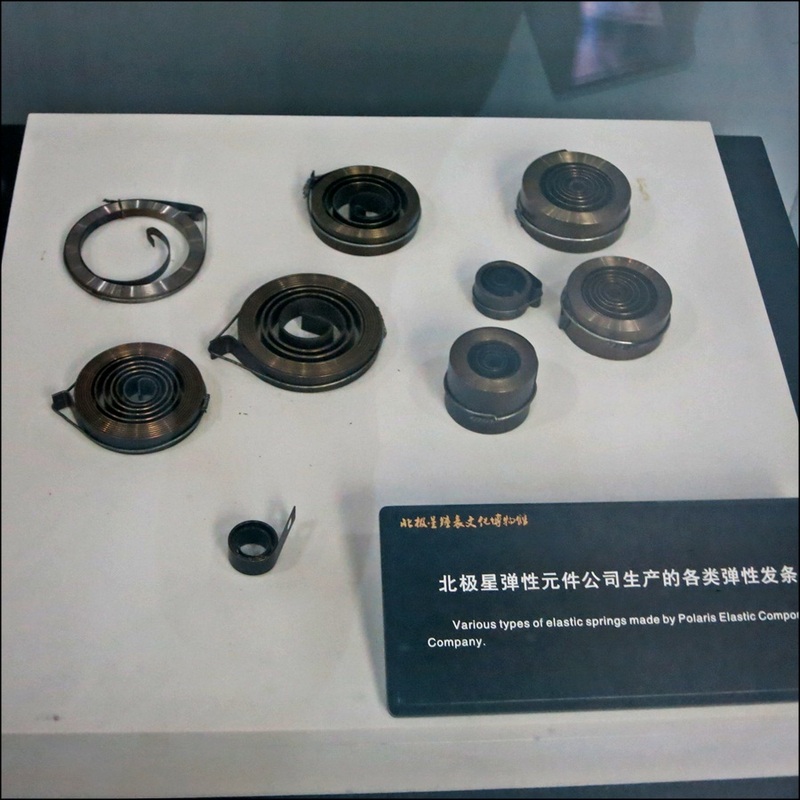 He explained that such clocks are very hard to regulate since, among other things, brass is temperature sensitive, affecting the travel length of the rocking mechanism. 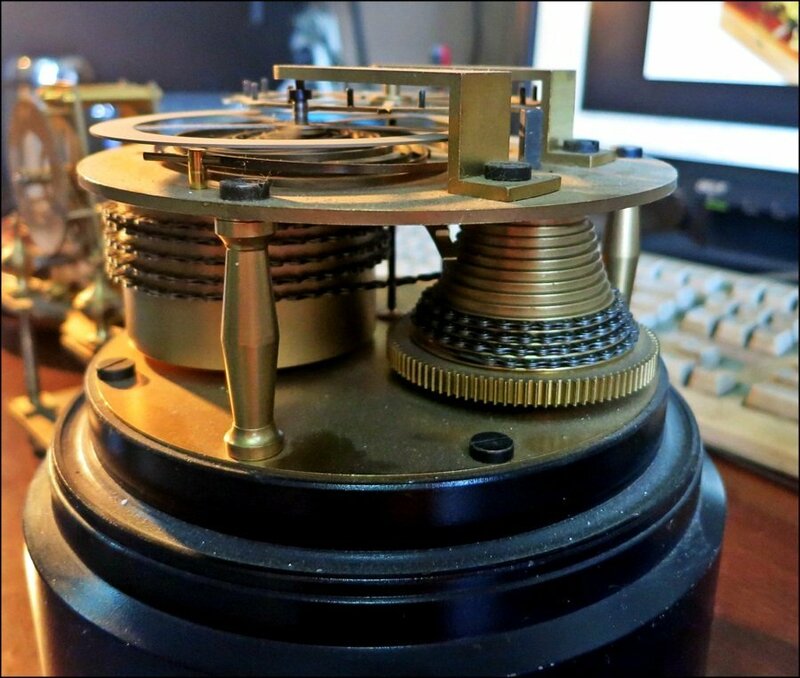 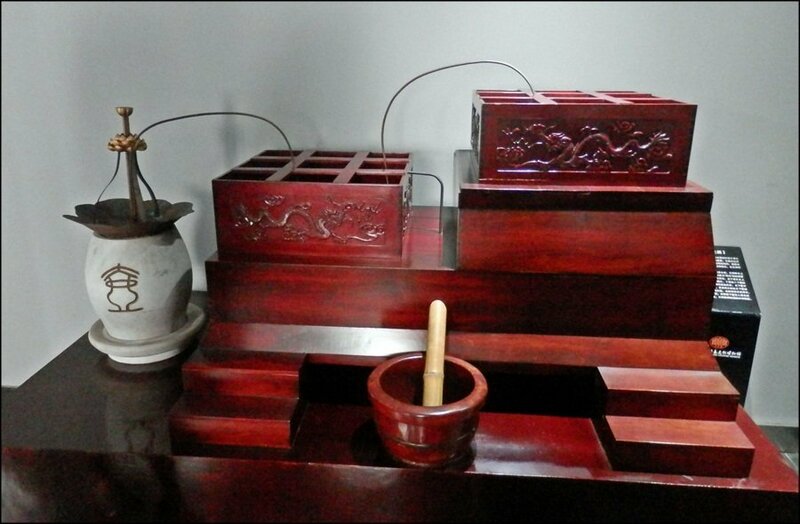 This is another example of a more classically traditional hand-done reproduction piece by Mr. Li, along with an old book article that was the inspiration for this build. 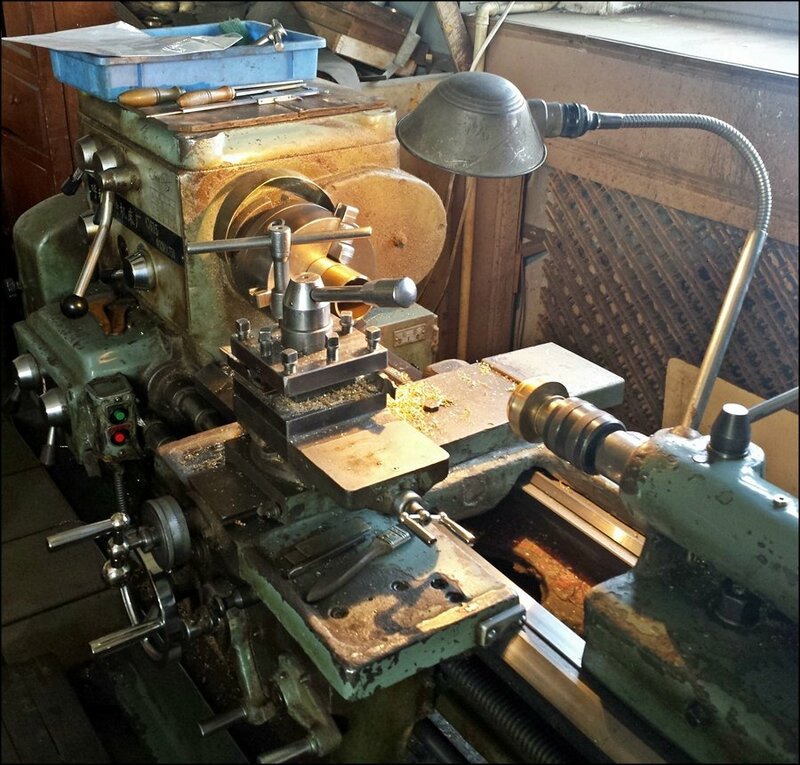 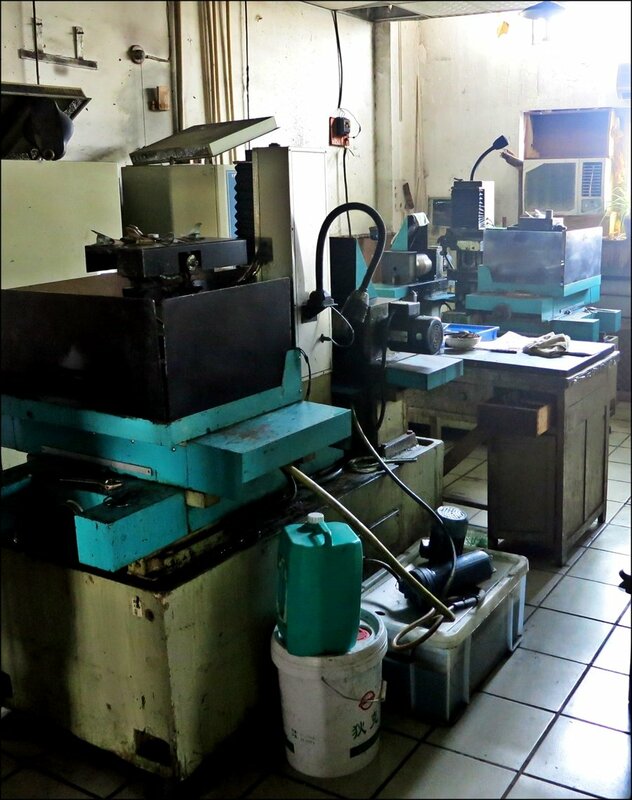 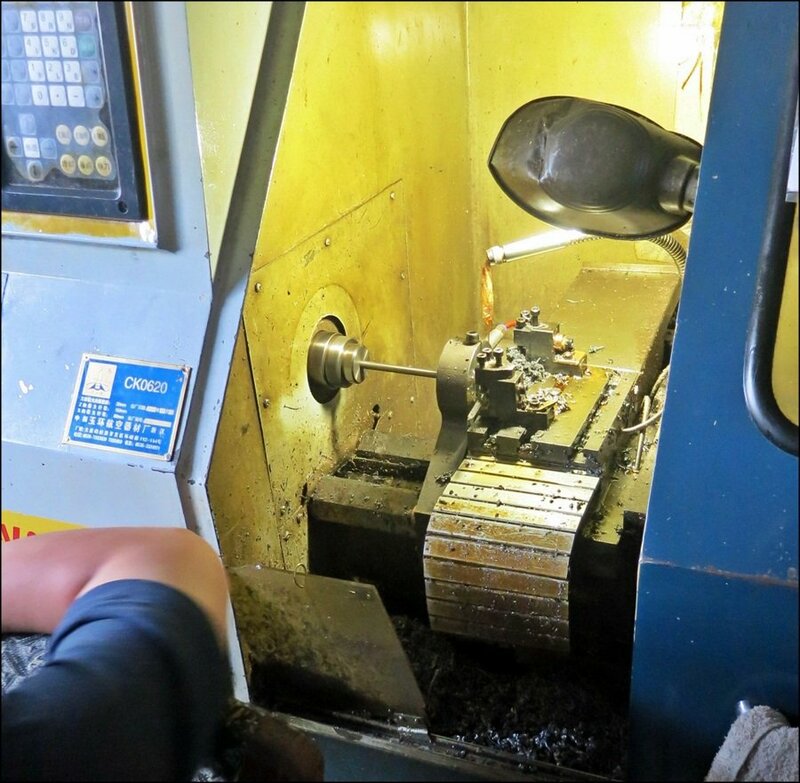 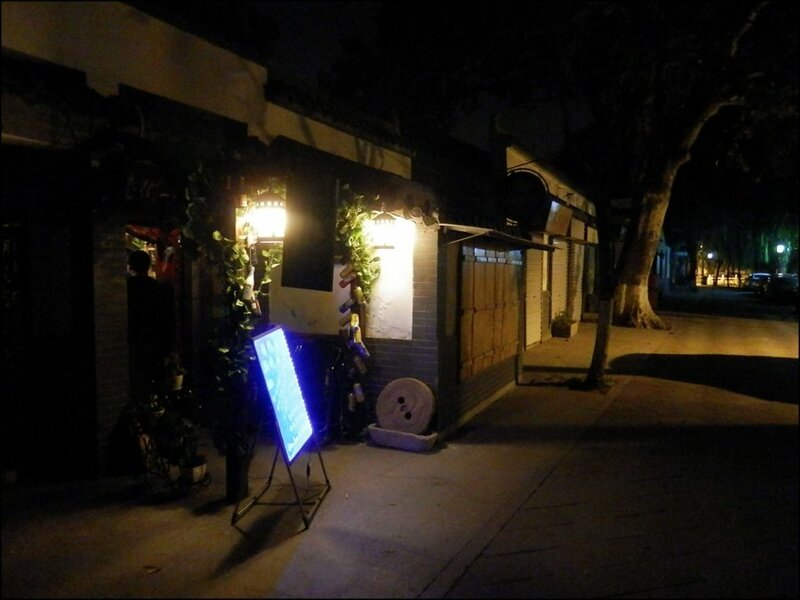 And some photos of Mr. Li's shop. 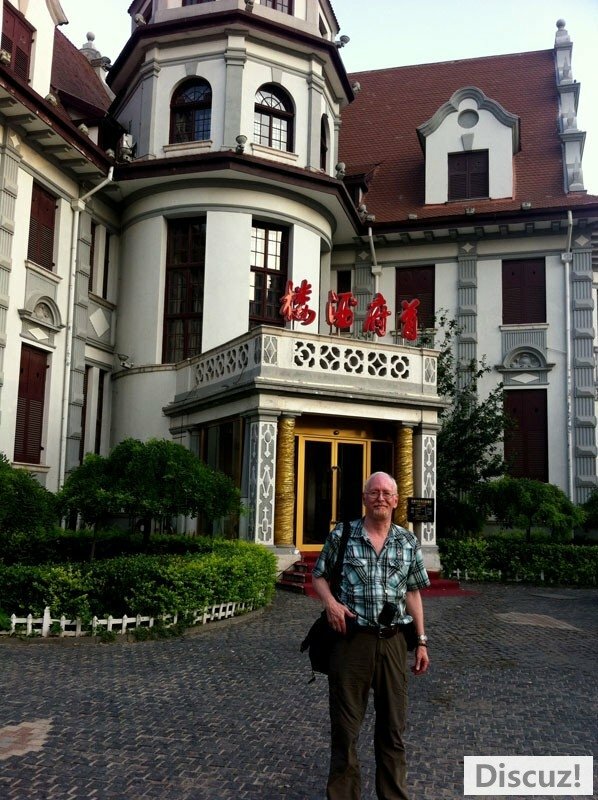 It was late afternoon by the time we left Mr. Li's shop, and I learned my wonderful afternoon would be followed by a delicious meal with Mr. Li and his wife at the Villa of Yuan Shikai, the former home of a Chinese general, politician and emperor (1859-1916), now one of Tianjin's very finest dining locations. 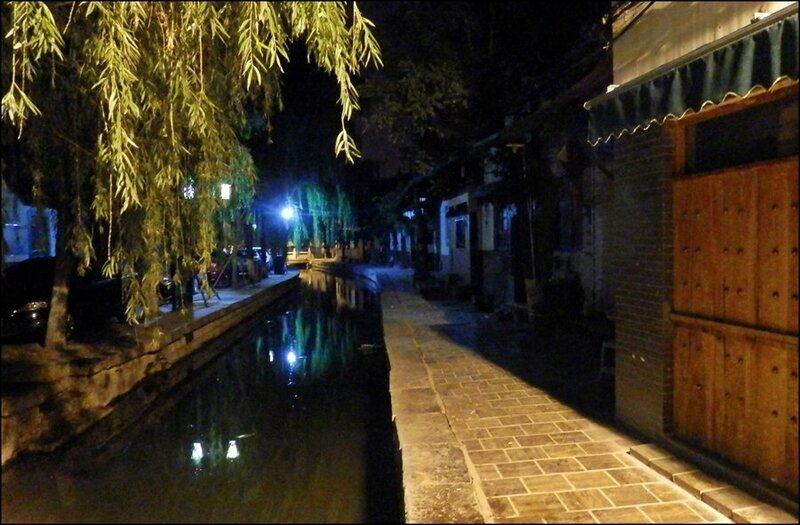 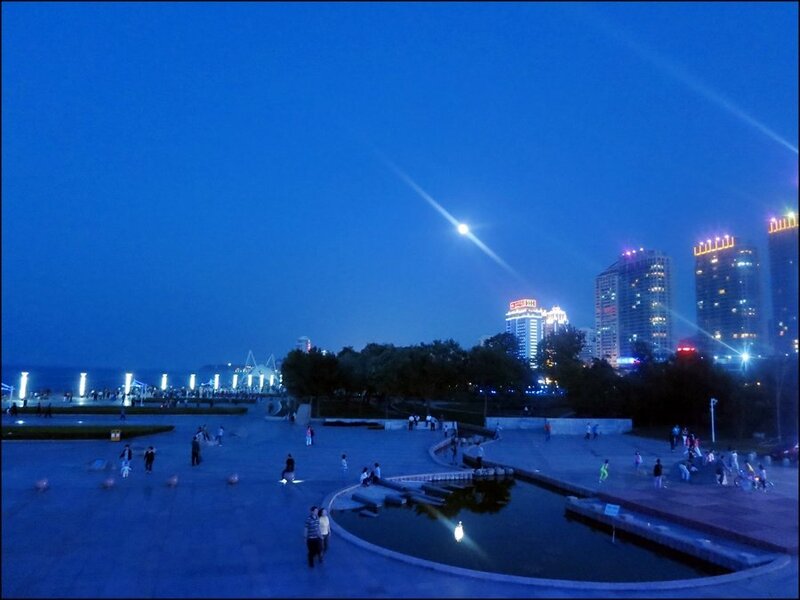 It's literally right on the banks of the Hai He, the river that flows through downtown Tianjin, and a place I consider one of the prettiest on earth. 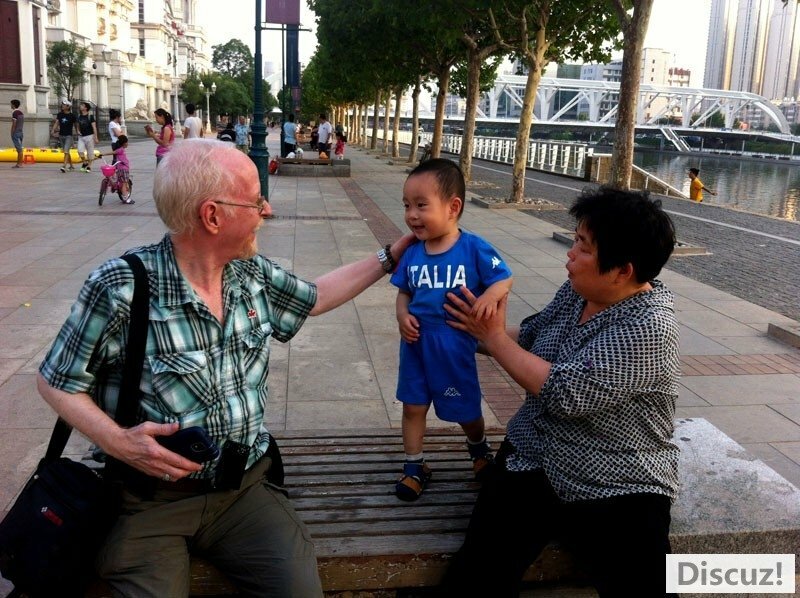 Plus, I got to play with a local kid being taken out by his Grandmother. 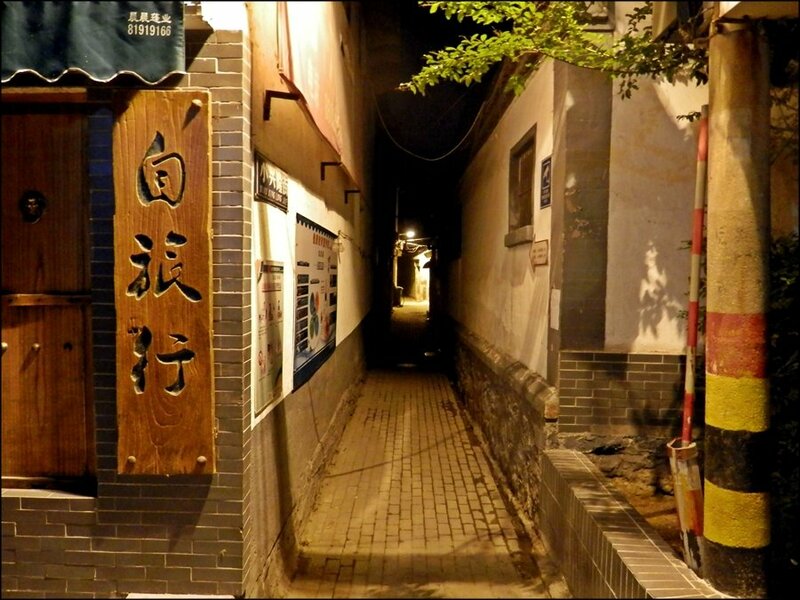 Most evenings would end there...but not ours :-). 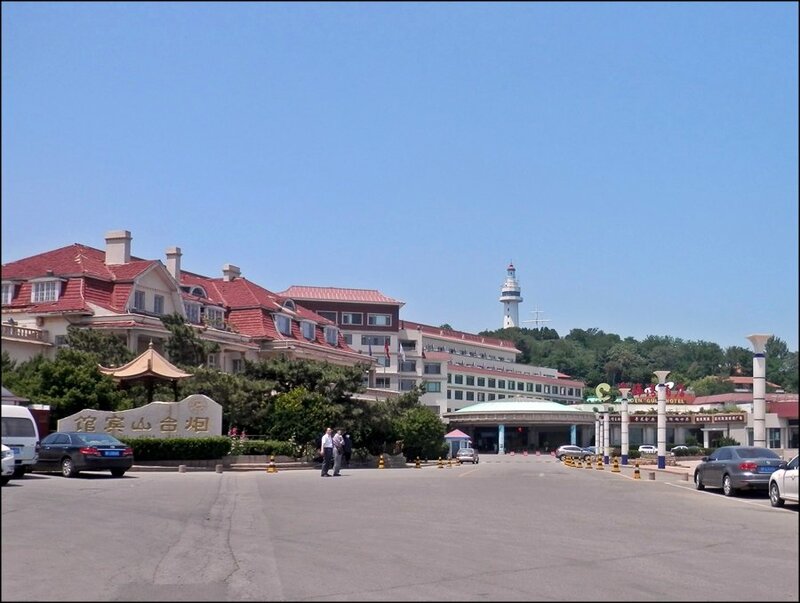 Immediately after dining, right next on the agenda, was a quick drive and then an on-foot rush to the Train Station for a fast train ride to Jinan, a normal 4 1/2 hour drive made in about an hour and a half by bullet. 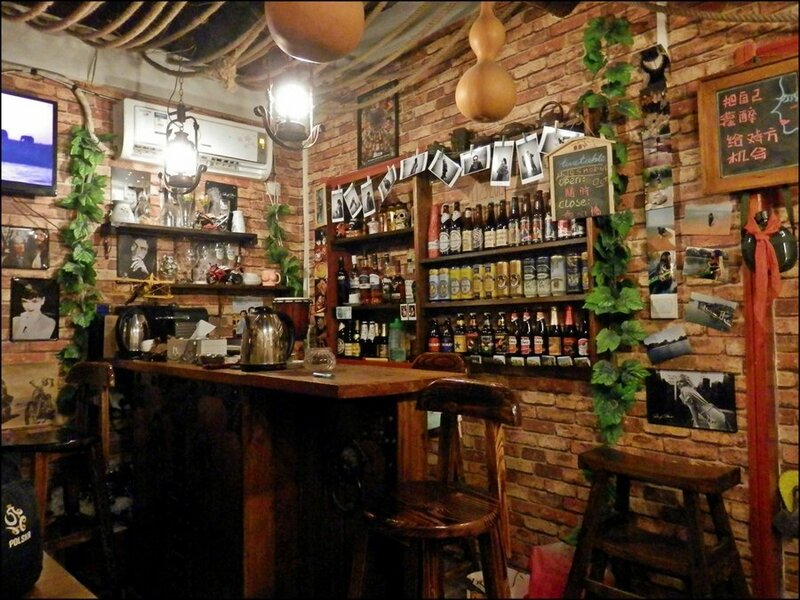 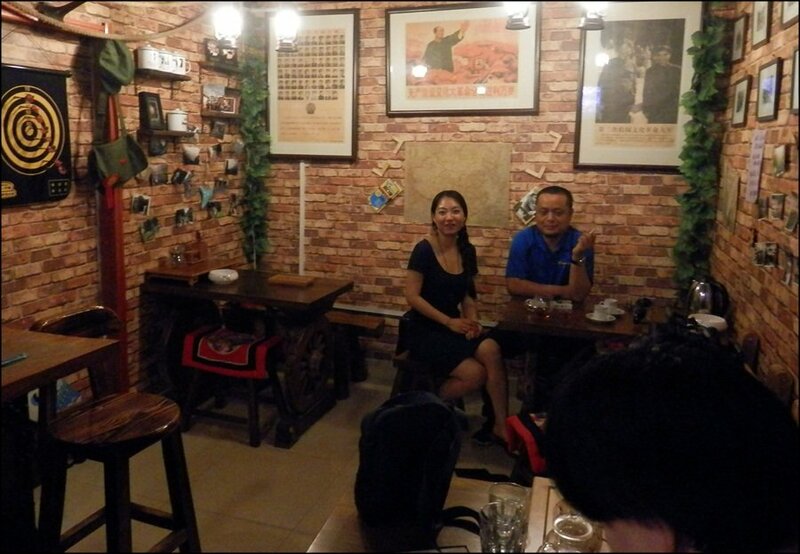 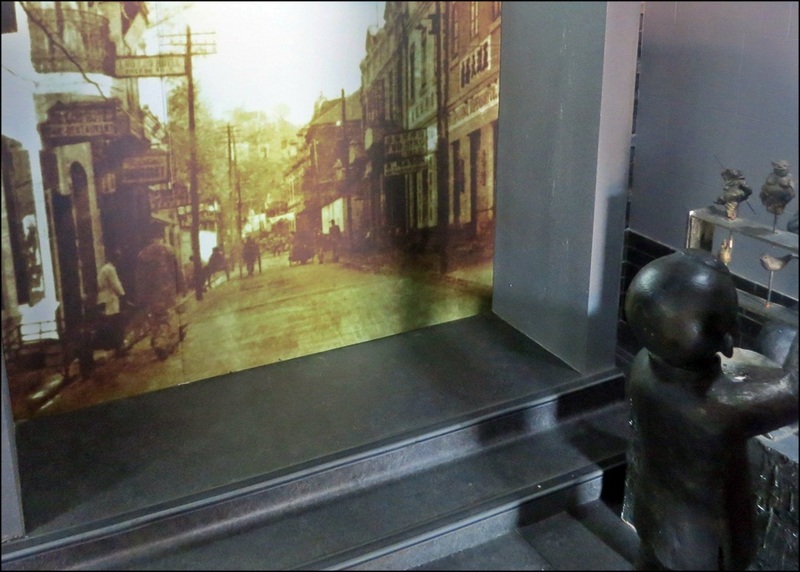 We arrived at about 10PM, and were to leave for Yantai about 11:30PM, but we had two fine reasons for this stopover: one, to drink a cup or three of smooth and fragrant Kopi Luwack coffee (look it up) at the intimate and well-stocked "23rd Street" coffee house/bar in Jinan owned by LiWei's friend, "Helen", and two: to visit for an hour or so with Helen because she's cool :-). 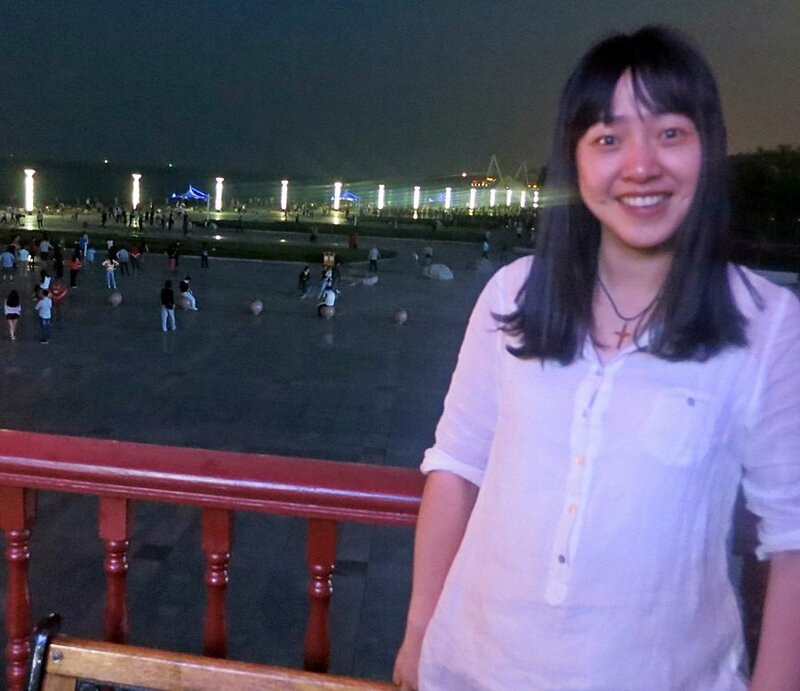 Her English is excellent and she's just plain charming. 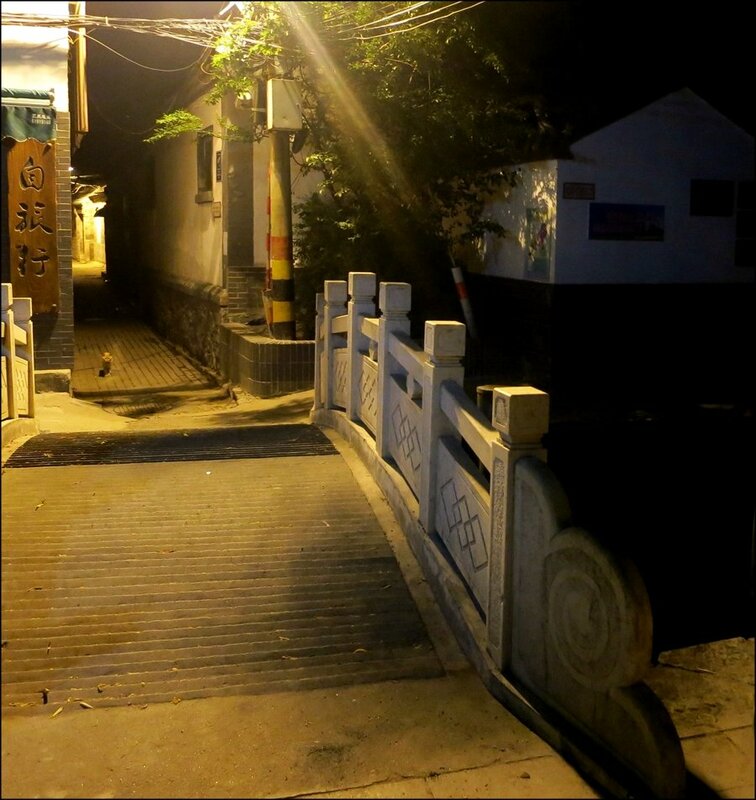 I found the evening light in that tiny canal street area fascinating for photography...it was about 11:00 or thereabouts when these were taken. 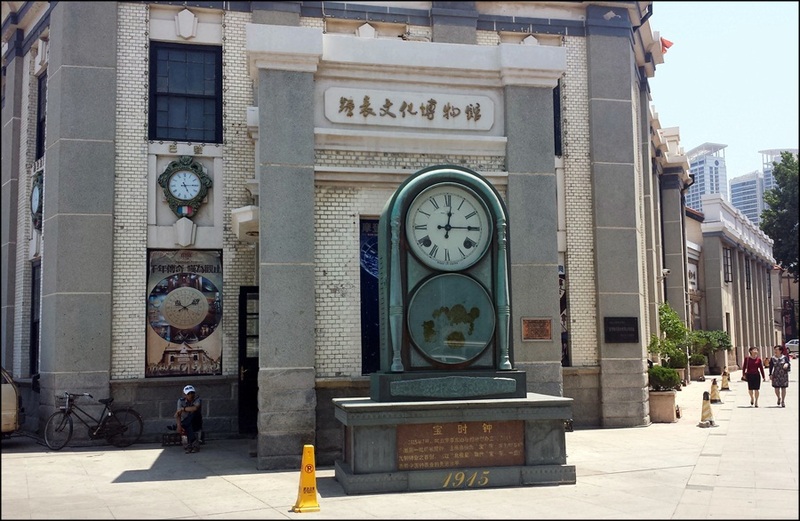 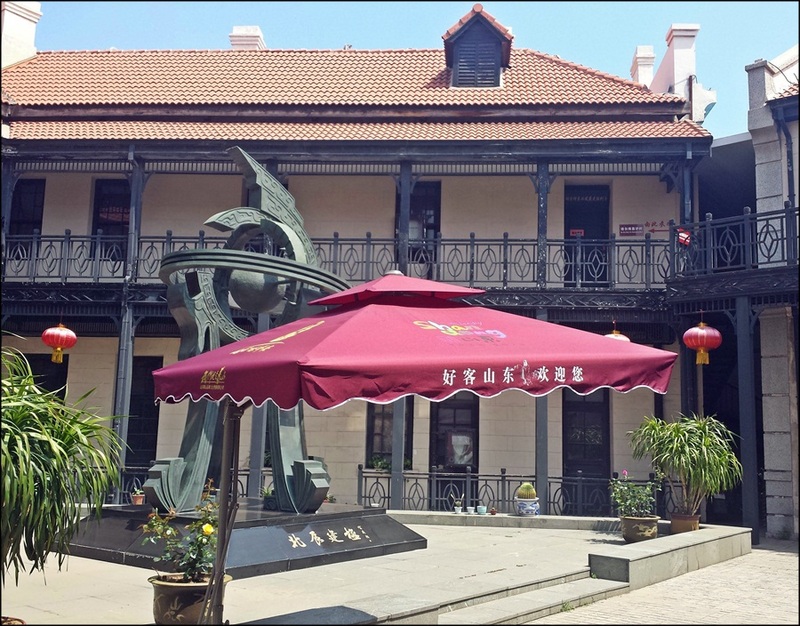 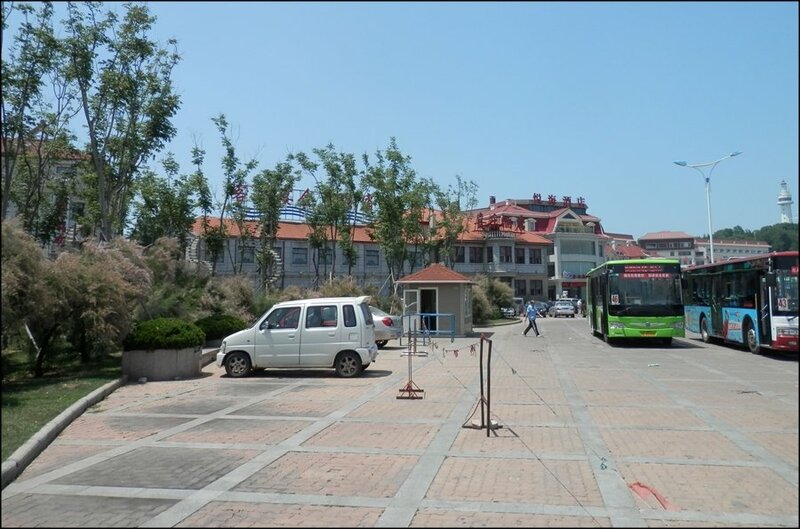 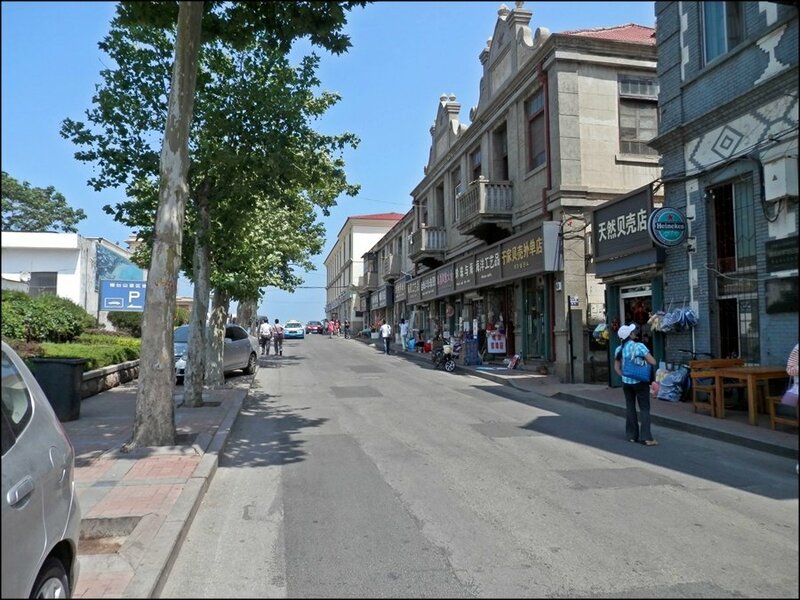 We left Helen's bar for the train station to catch an overnight "hard sleeper" to Yantai. 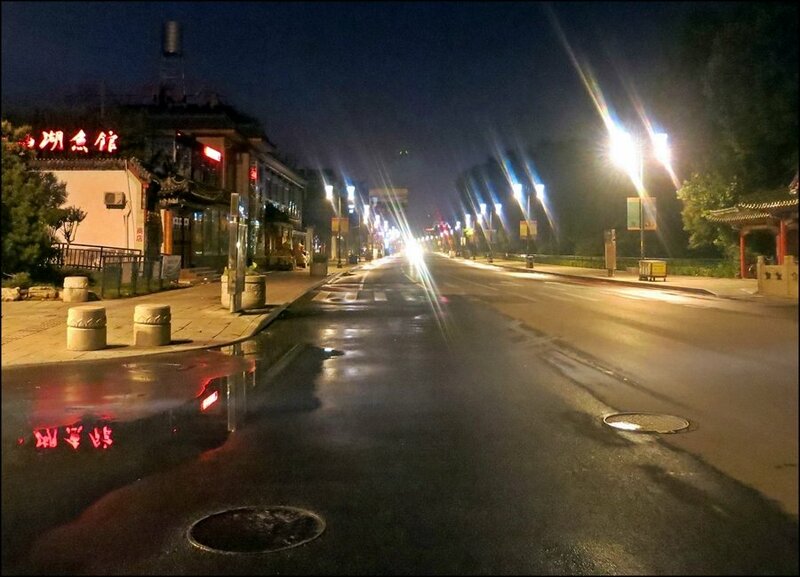 From there, things weren't quite so beautiful for a few hours. 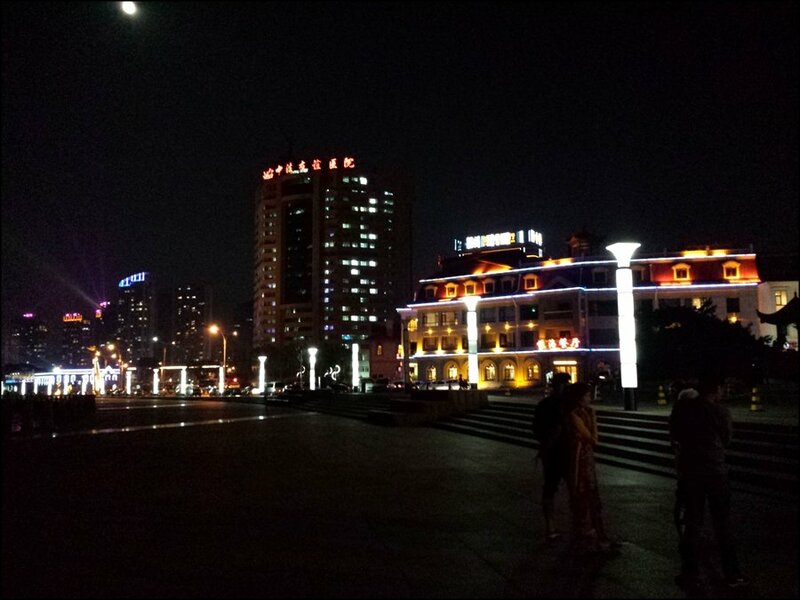 The overnight train ride was well worth it, but not comfortable at all. 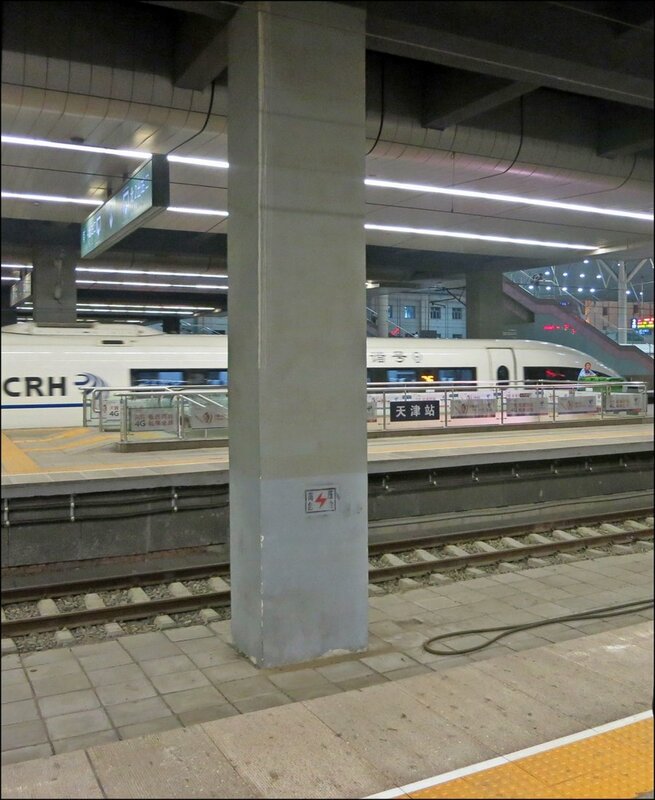 Hard sleeper cots do allow you to lie down, but they're narrow, three high in the rail car, and when it's hot and humid and your car is also transporting some rude and noisy young folks, it's not a restful ride. 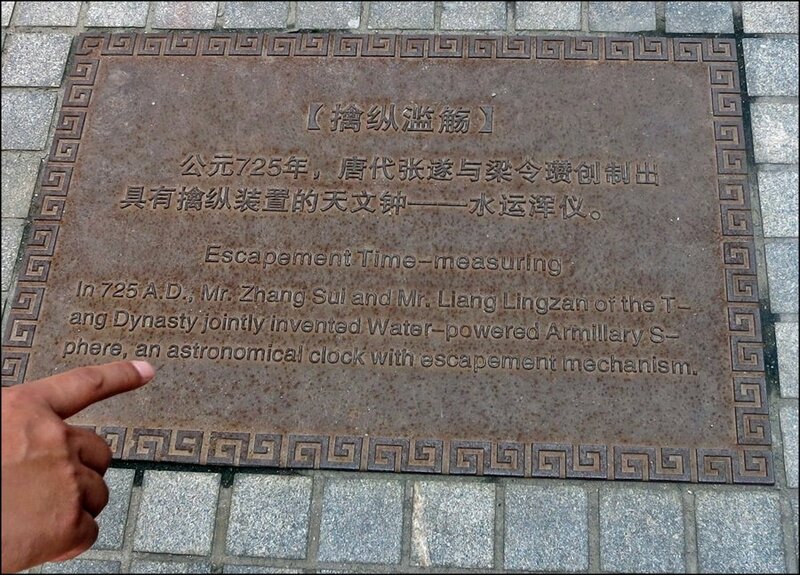 I got a couple of hours of hot, sweaty dozing, and that's all. 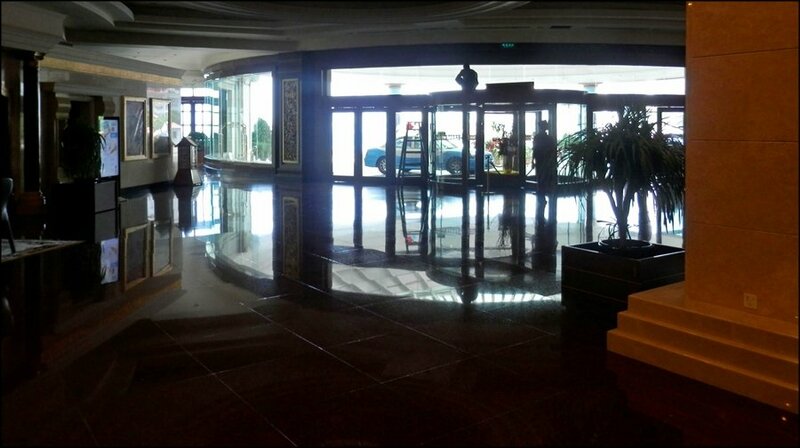 A hard sleeper just gets you there slightly rested, and so we arrived, tired, at the Yantai station at about 10:00AM, where we were picked up and immediately, almost magically, whisked to (finally) very (as in OMG, is this awesome) comfortable surroundings: The 5-star Yantai Golden Guilf Hotel, a temporary home for, among others, the past Prime Minister of Australia, and n0w my home for the next two nights. 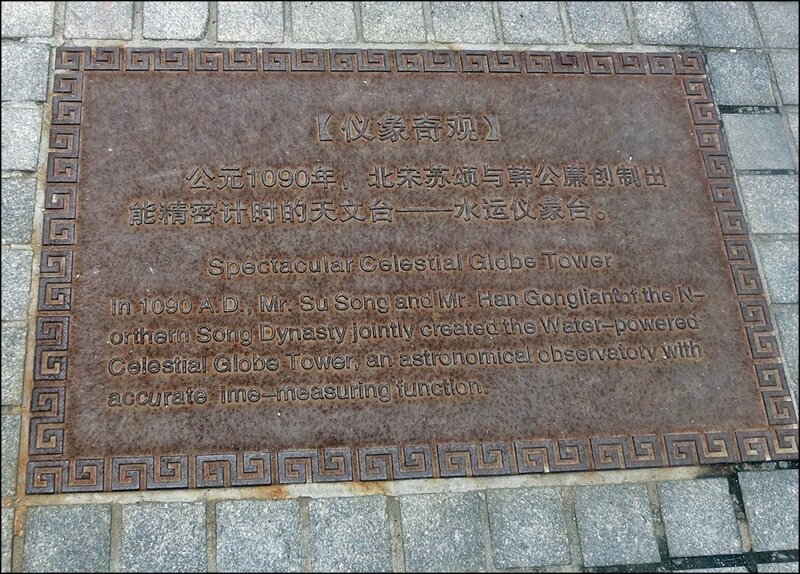 ...to the day's first planned venue: The Polaris Horologe Culture Museum, only a few minutes walk along the beach. 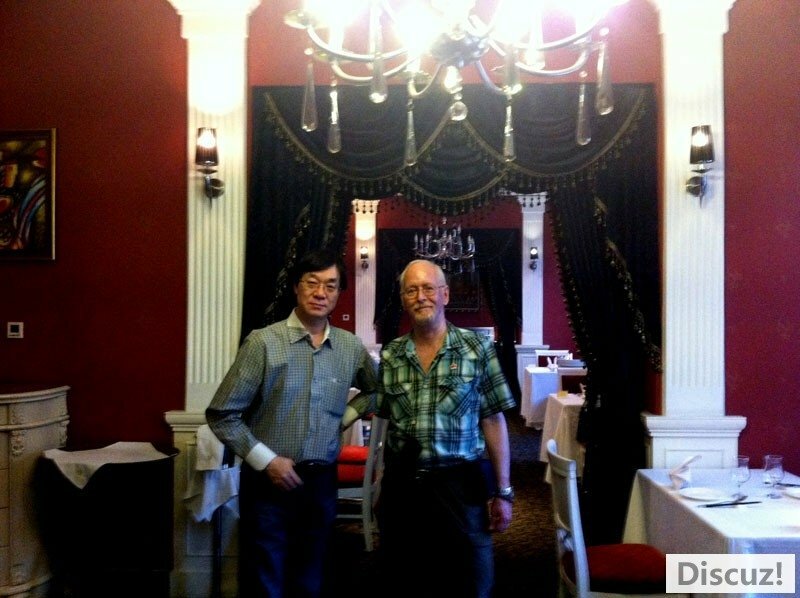 I'm pictured here with Mr. Zheng, the calligrapher. 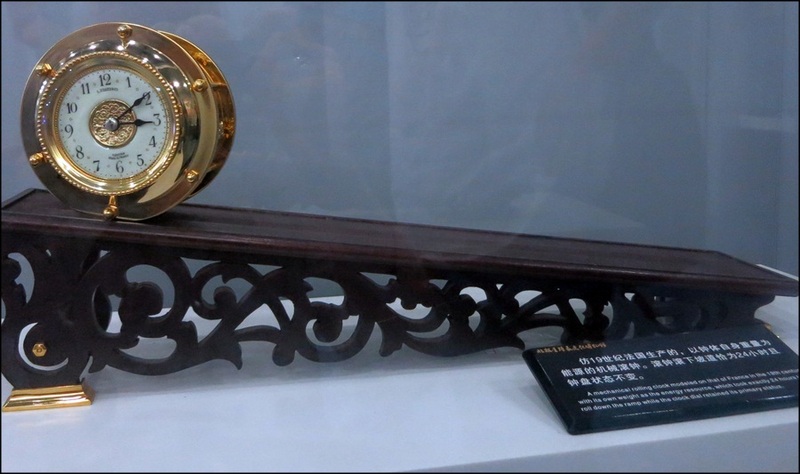 Note the gold-plated "do not take pictures" in this next photo. 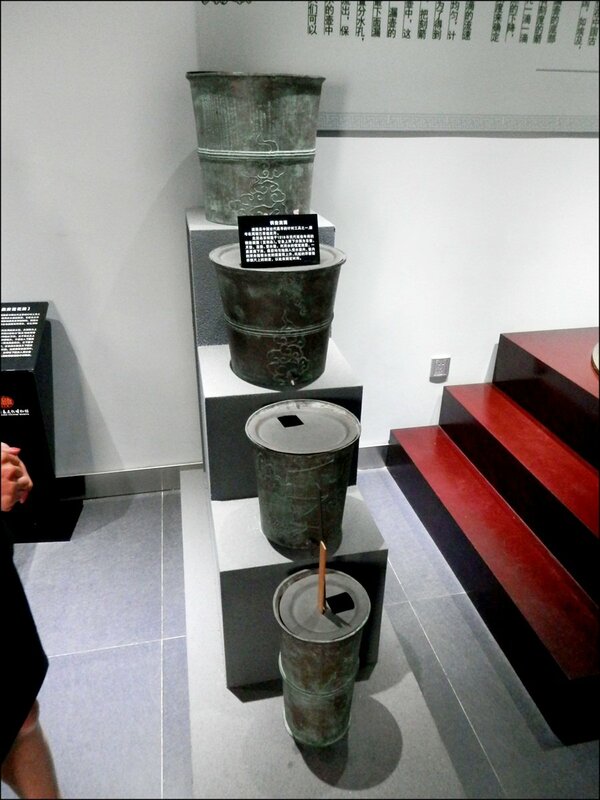 I asked and was directly told that Museum Director (Mr. 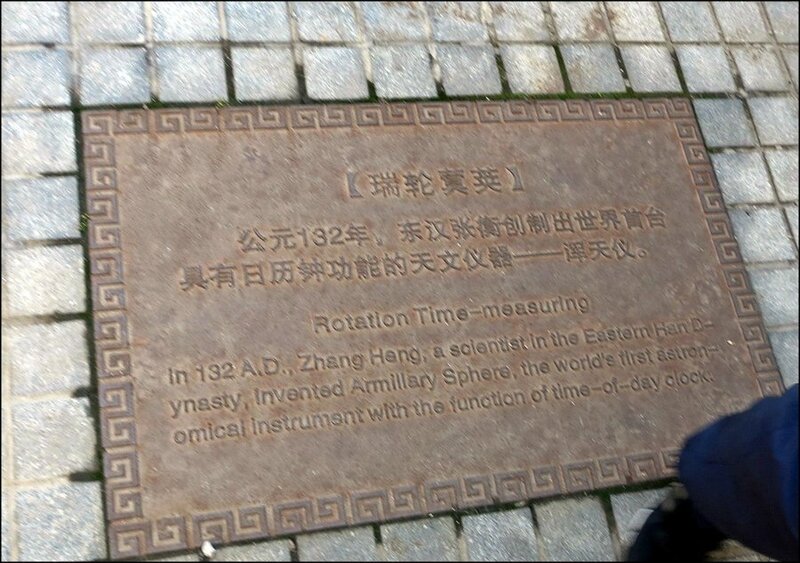 Han?) 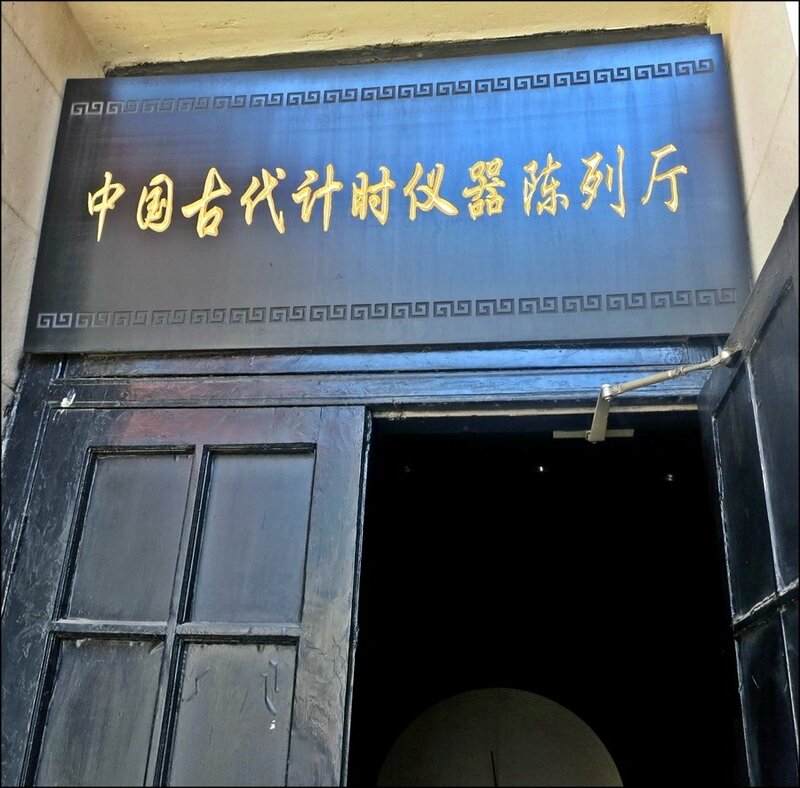 had provided approval for me to take any, and as many, photographs as I chose and that I was free to publish the photos as I saw fit. 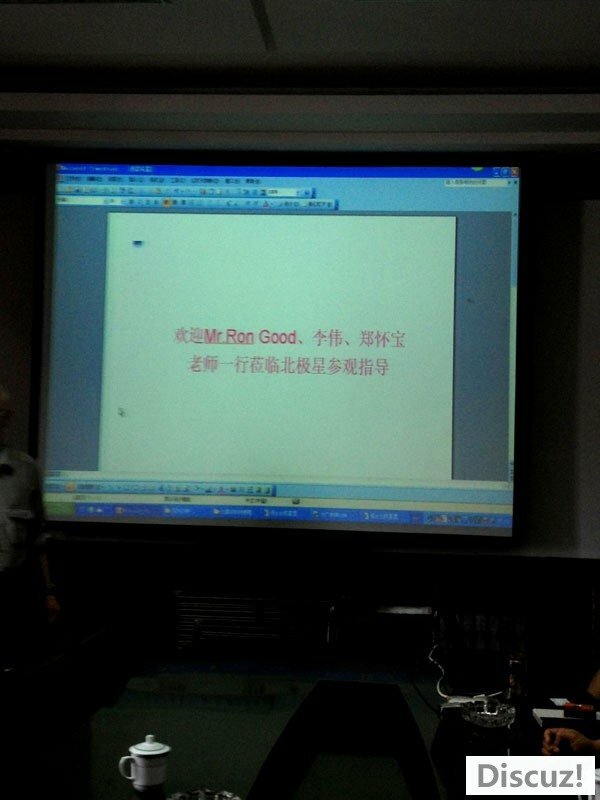 I'm very grateful for the opportunity and the trust. 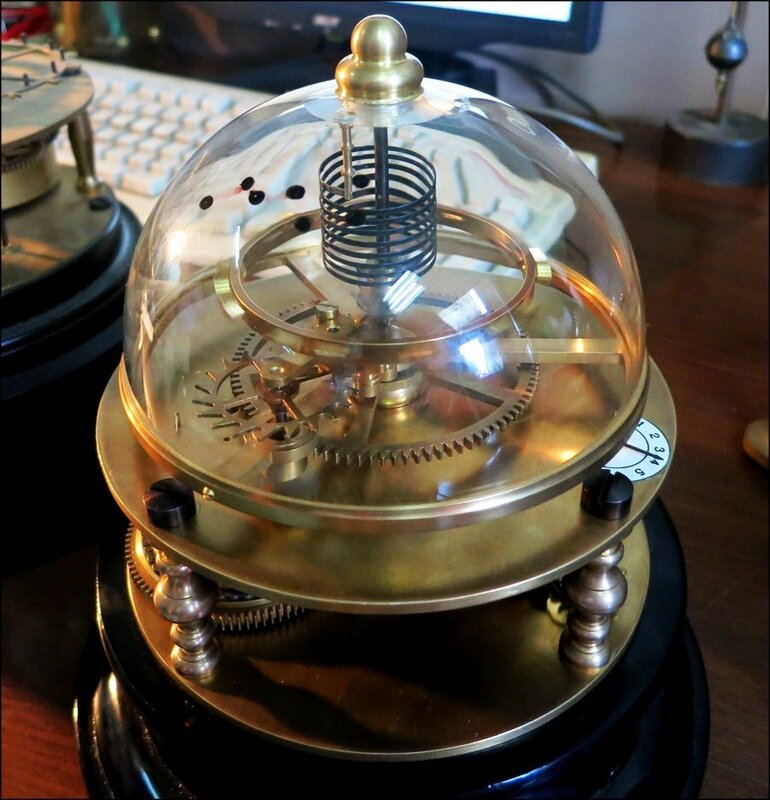 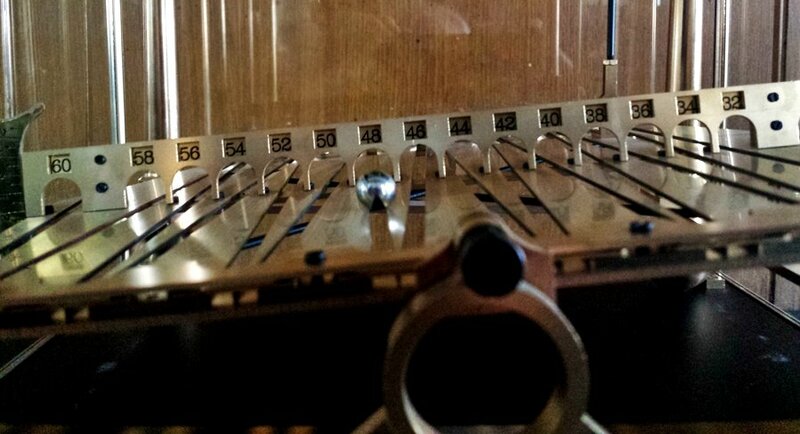 I ;ove this clock...it rotates and the bottom ball mount section dislays the time around the world. 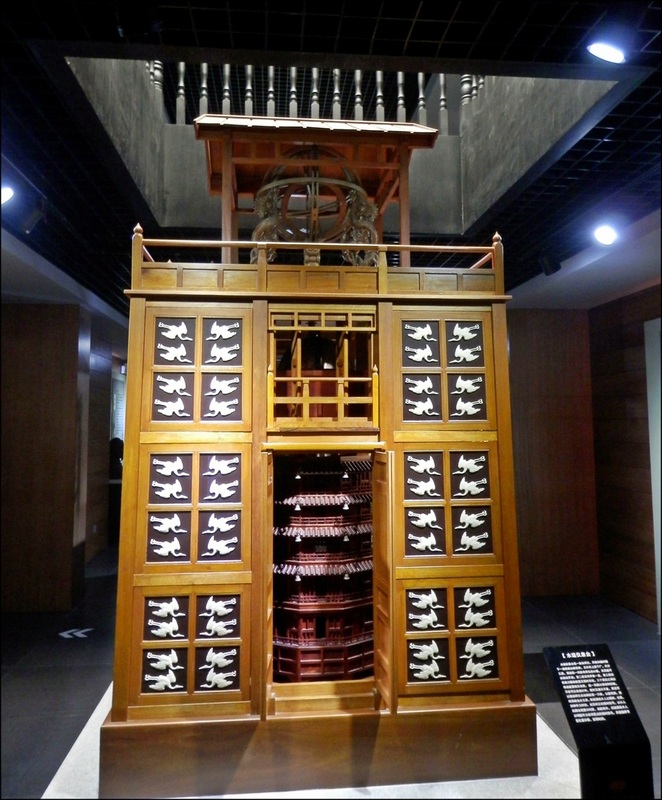 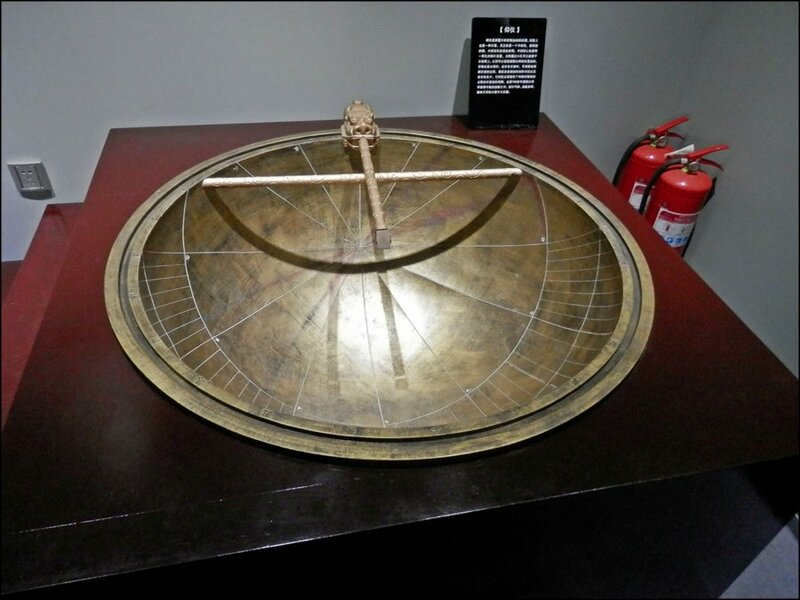 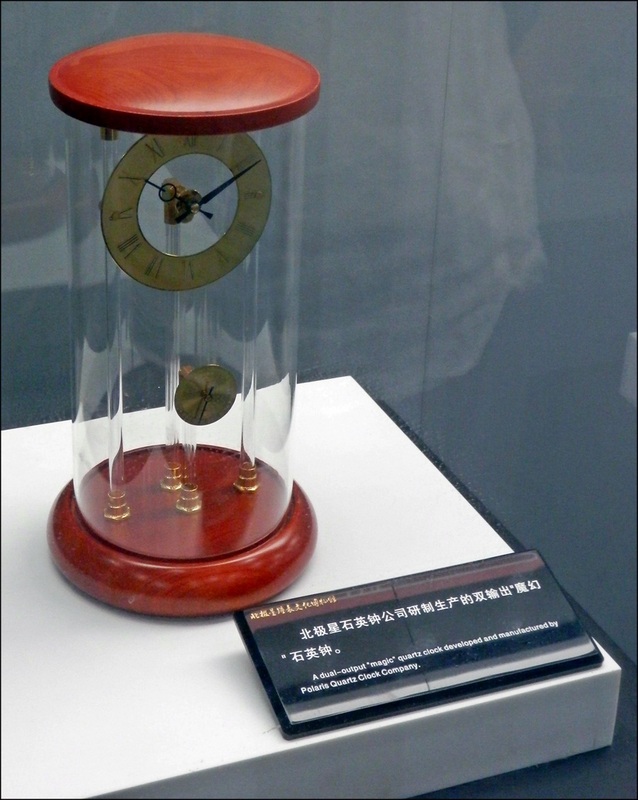 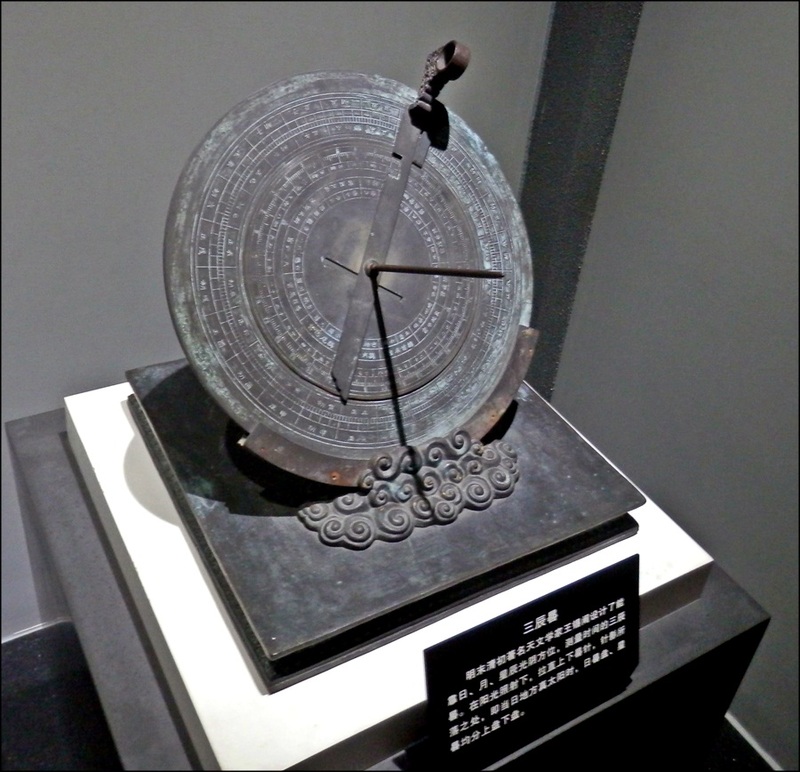 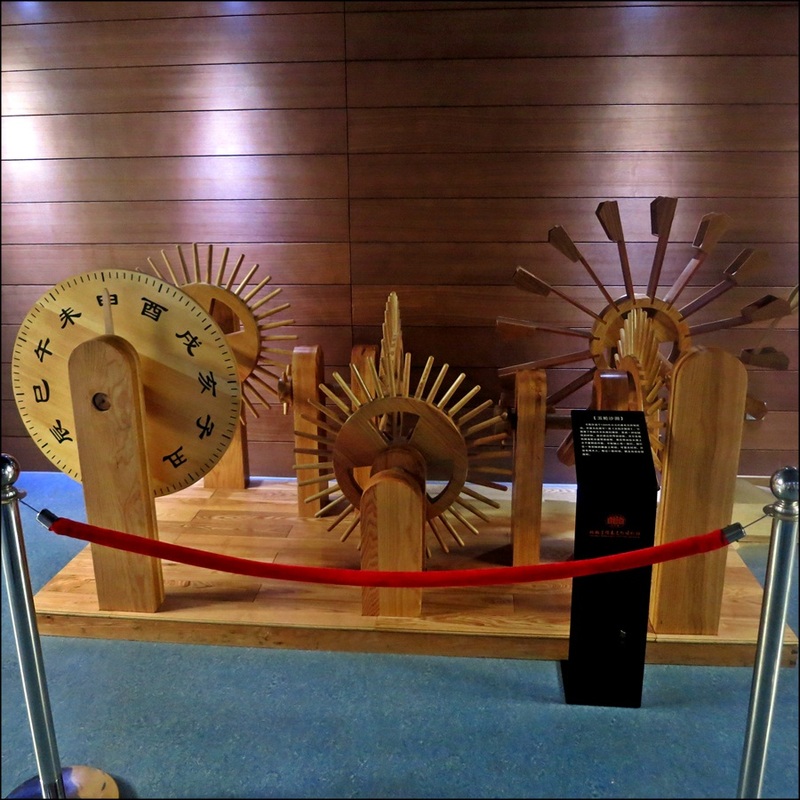 This is an important display in the museum, It describes how a Jesuit Monk, Matteo Ricci (1522-1610) travelled to the Macao area in the early 1580s and introduced modern European clock design to the Chinese Emperor's court, re-igniting Chinese mechanical clock building after centuries of little progress. 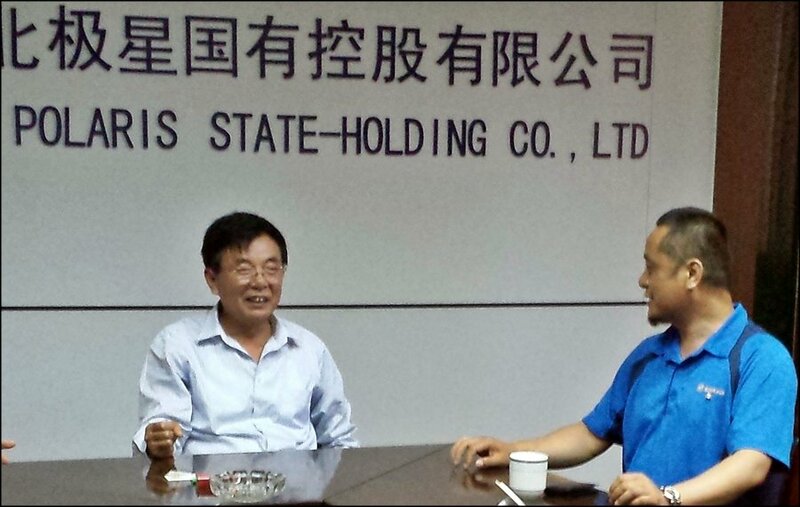 ...and a photo of the Factory founders. 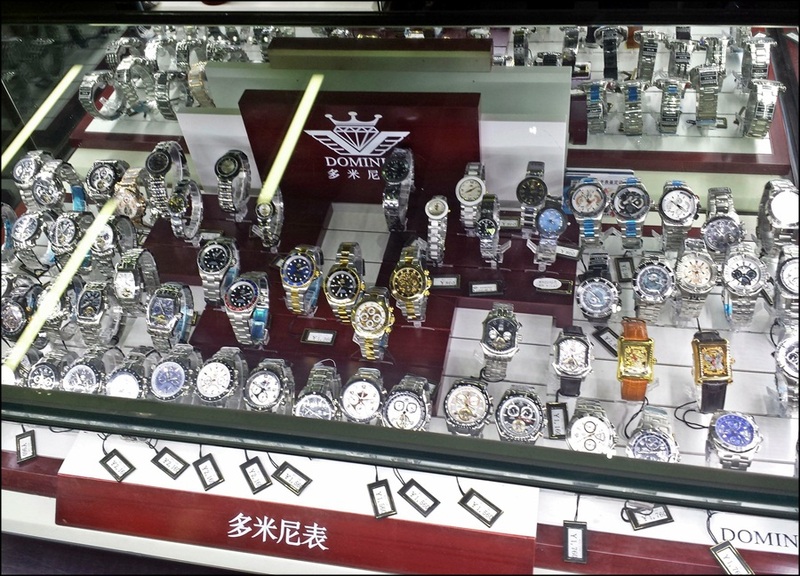 A shot of a number of modern Polaris/Beijixing watches in a display in the Polaris store inside the museum. 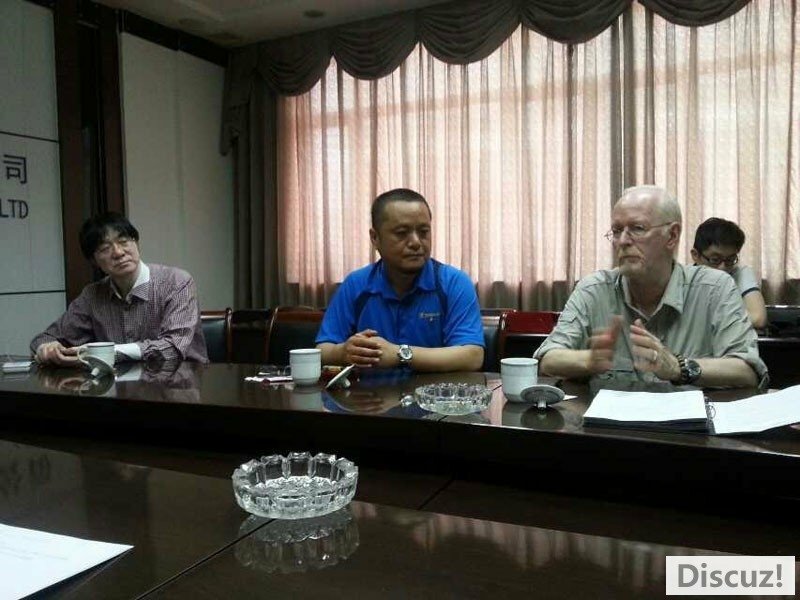 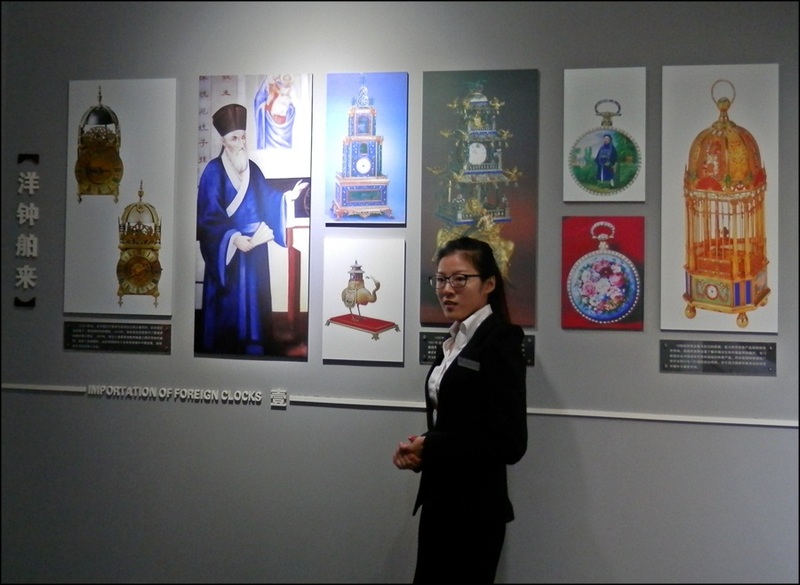 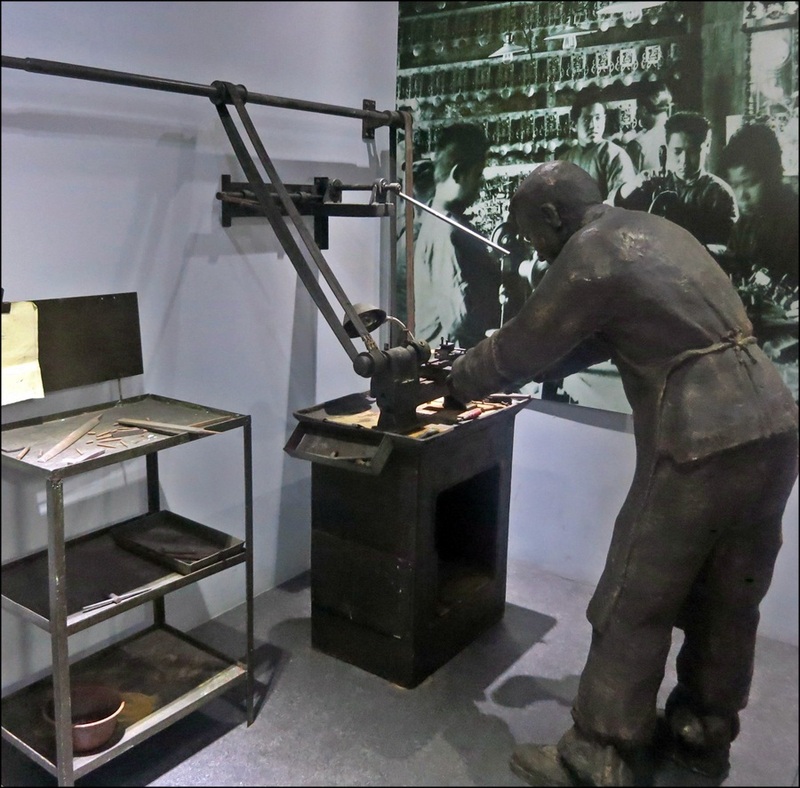 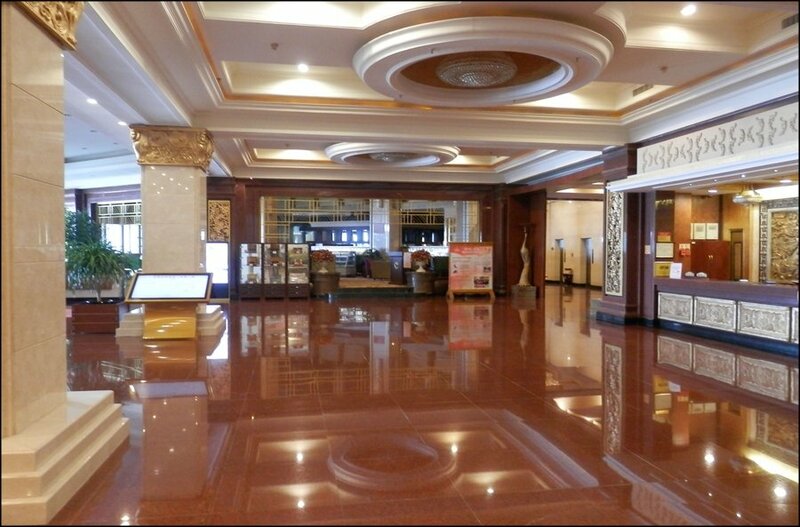 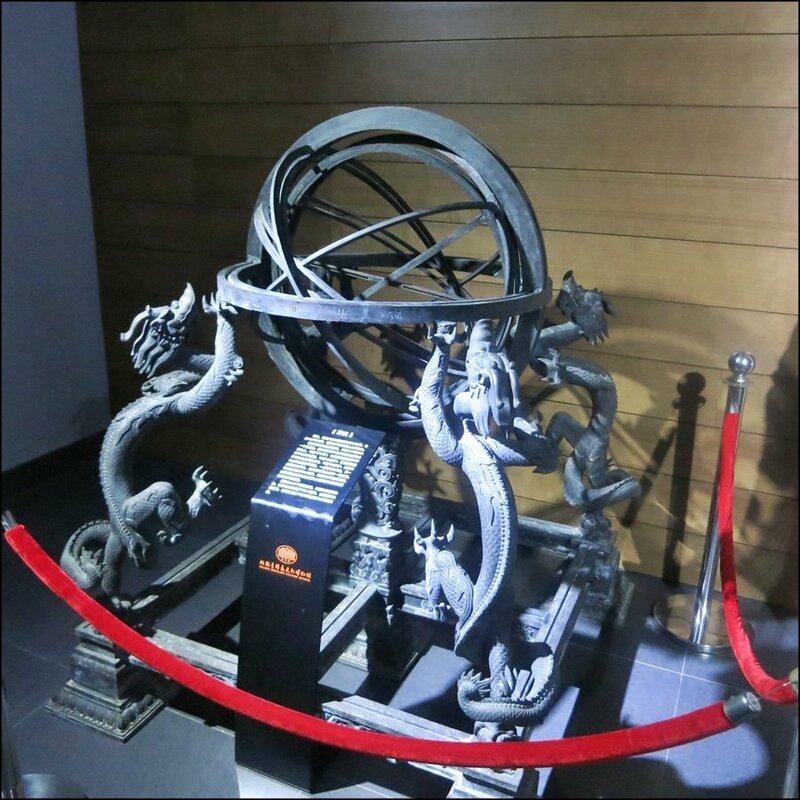 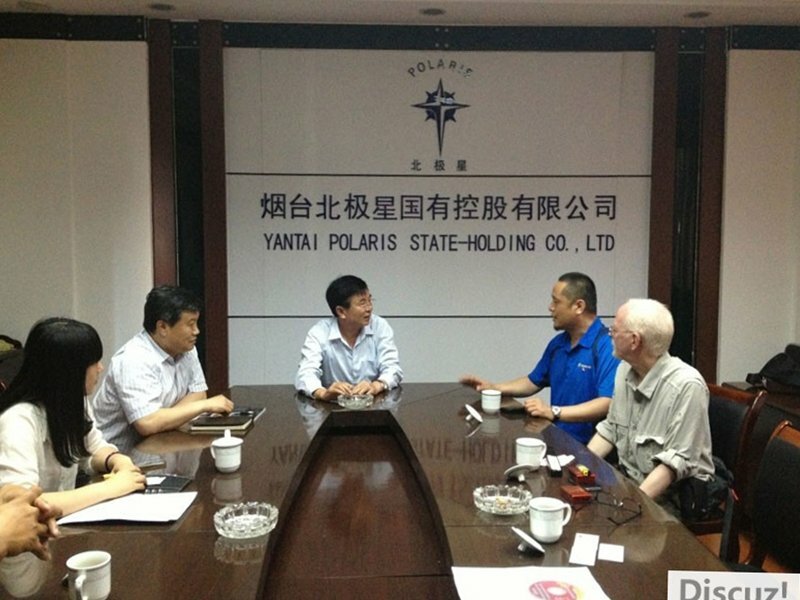 We left the museum in the later afternoon, going directly, next, to a meeting at the Beijixing Polaris Board Room. 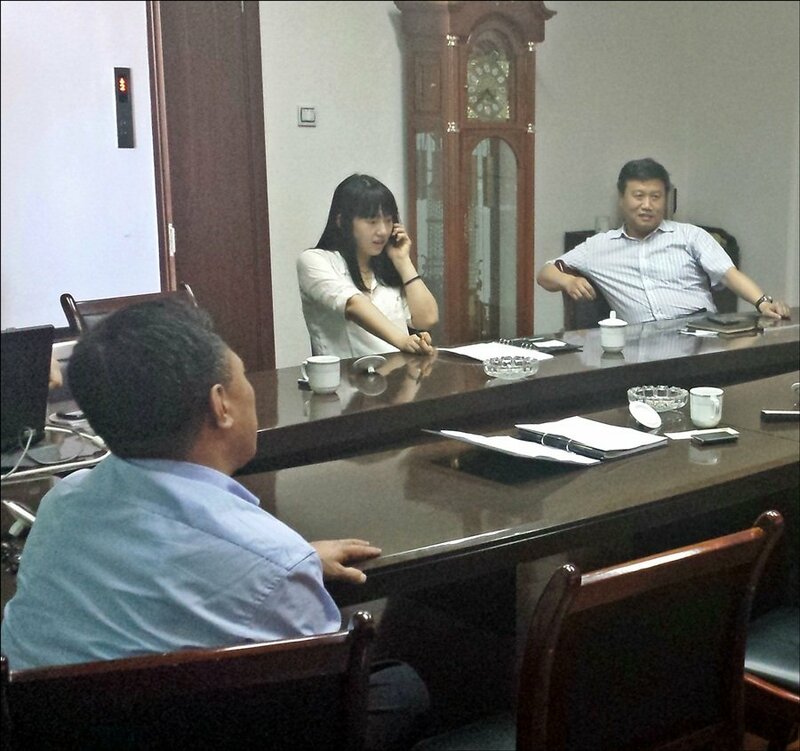 The purpose of the meeting was to meet the company President, Mr. Zhang Zhao Ji and other executives, as well as to discuss LiWei's recent activities in the industry, to introduce Mr. Zheng, the calligraphic artist, as the designer of early promotional materials for the Beijizxing 100th Anniversary, and to discuss my activities and motives regarding Chinese watches but moreso to also discuss my understandings of China's current and future positioning in western horological markets. 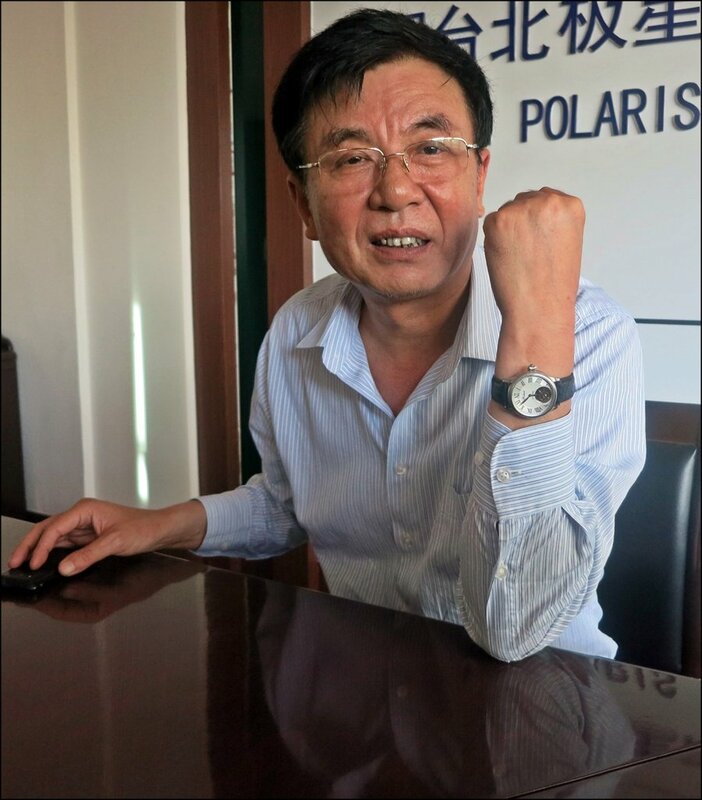 I was asked for, and provided, a fairly detailed and candid overview of my thinking, both positive and negative. 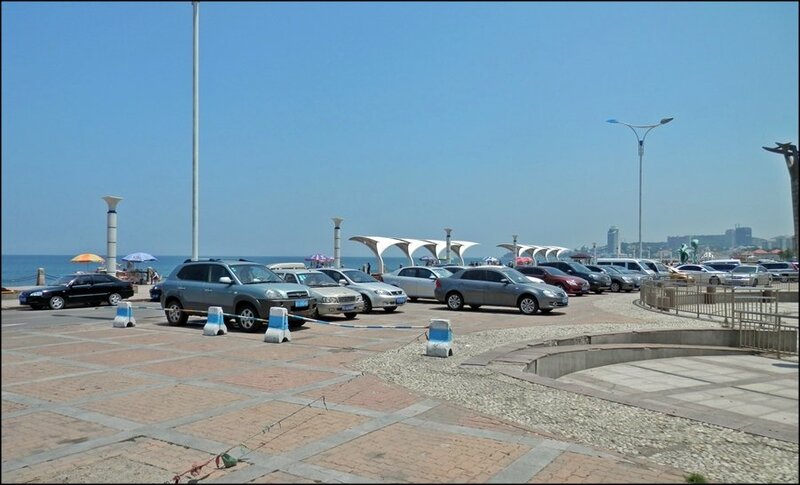 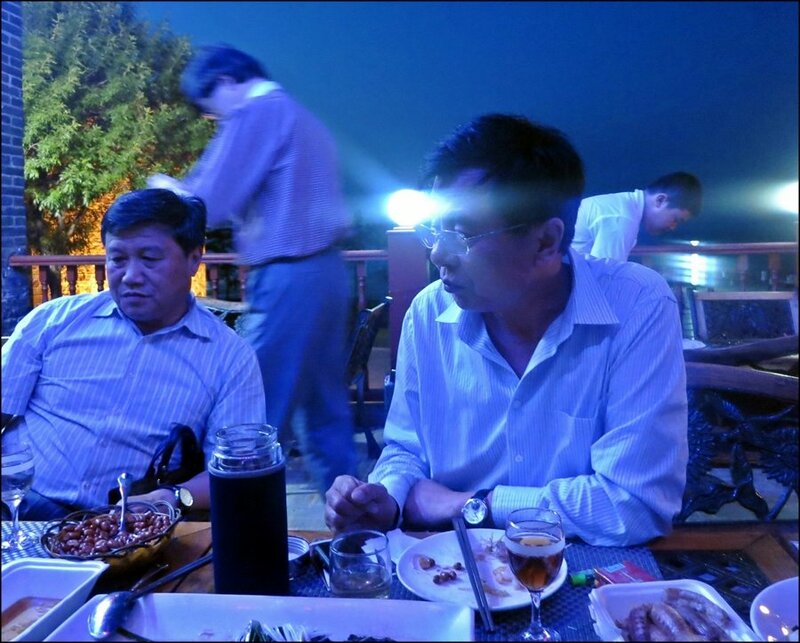 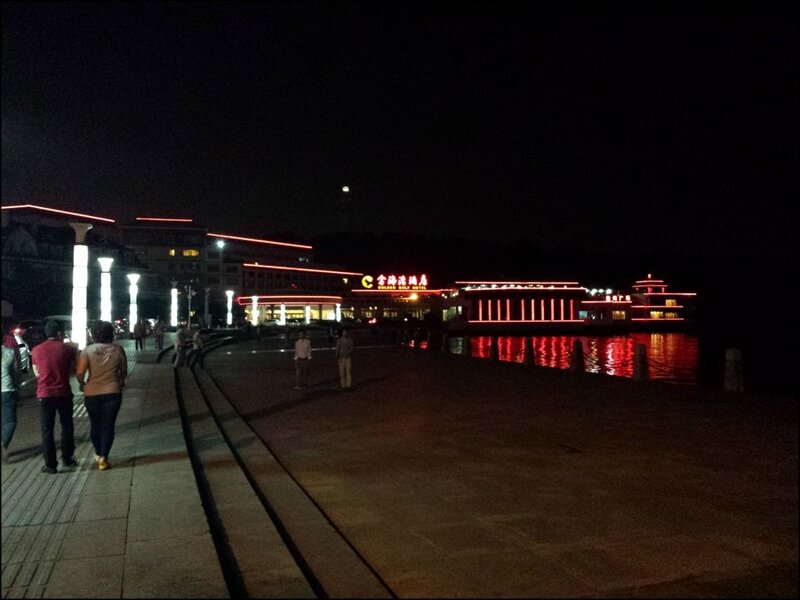 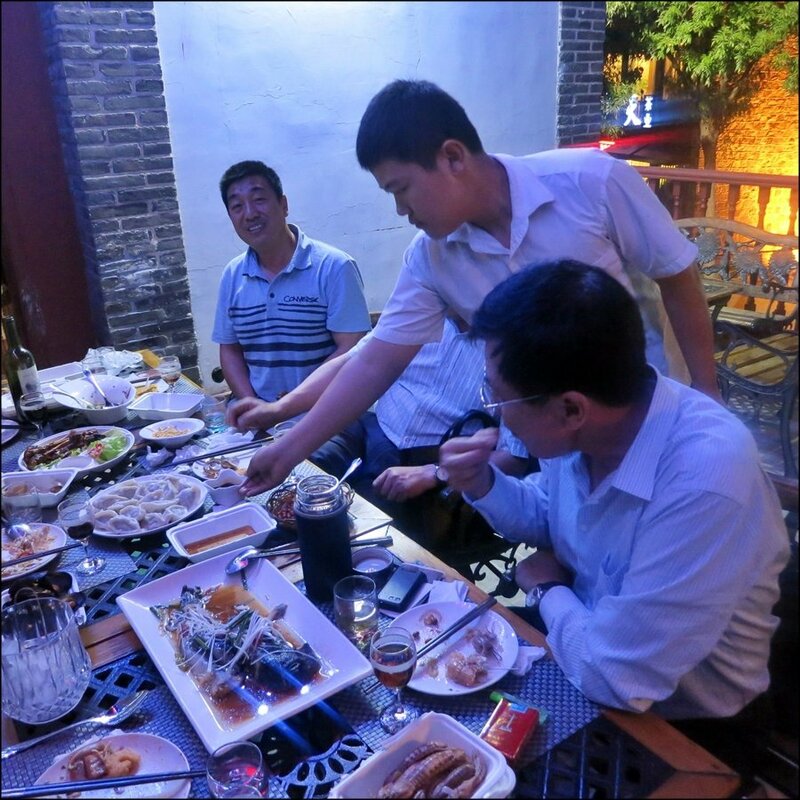 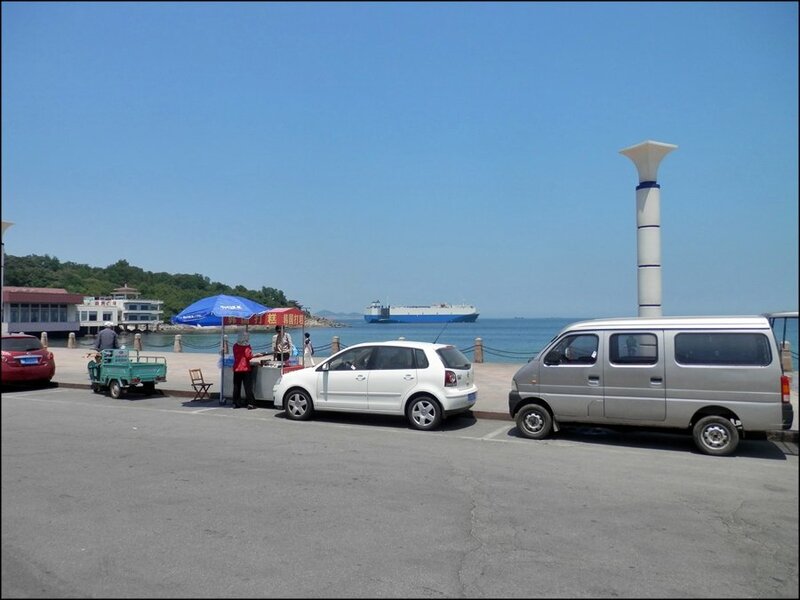 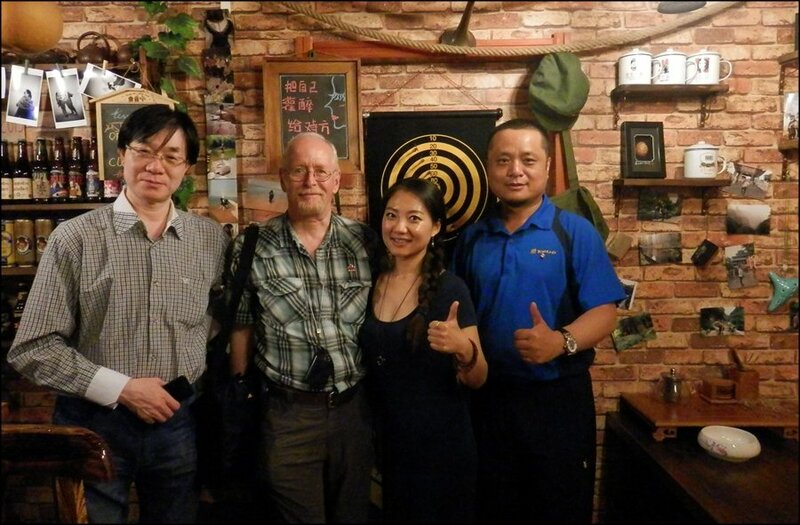 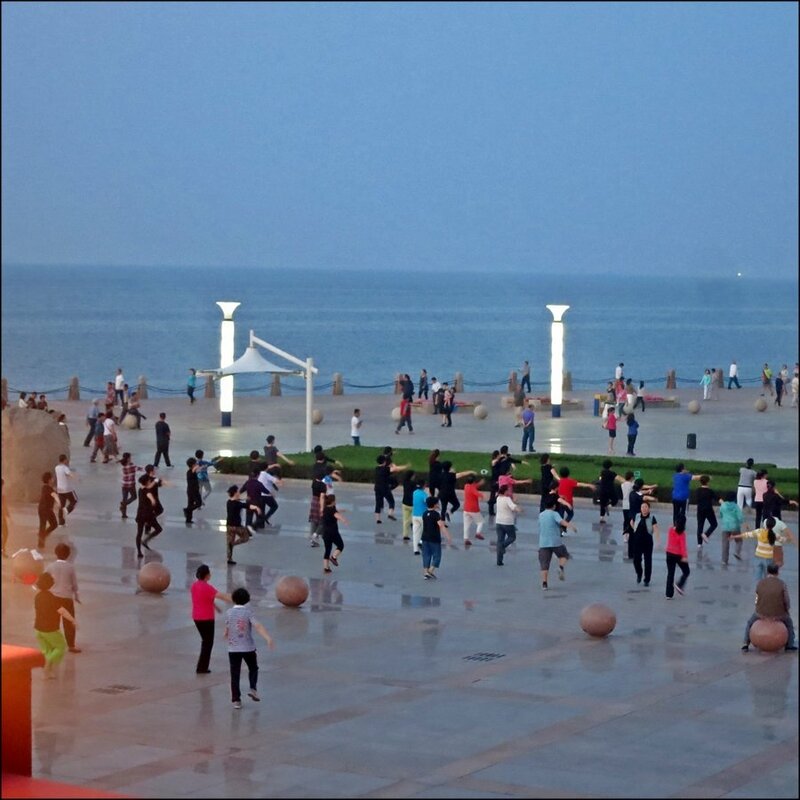 After the meeting, Mr. Zhang very kindly asked us to dinner outside at a second-floor patio restaurant right on the Yantai beach, overlooking evening activities on the Yantai beach as the sun went down. 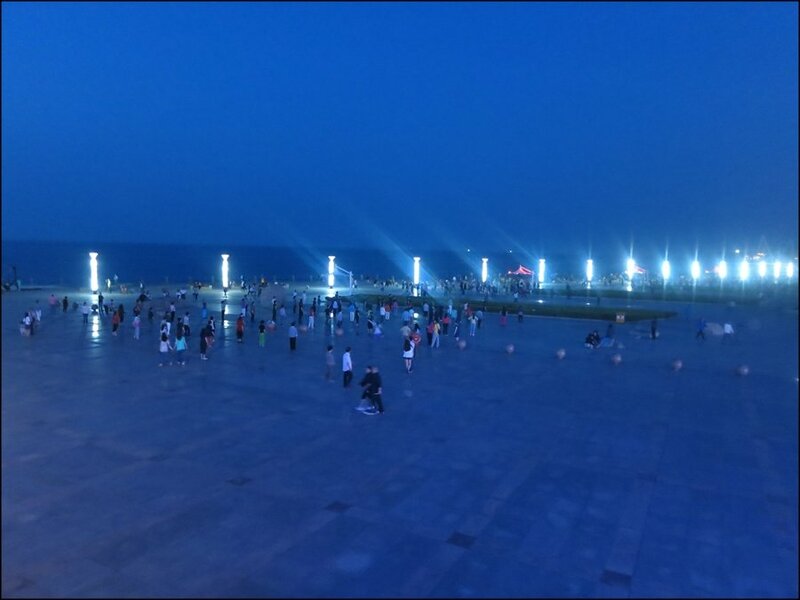 No special effects on the photos, just the normal result of evening humidity on this very warm, moist and only lightly breezy evening. 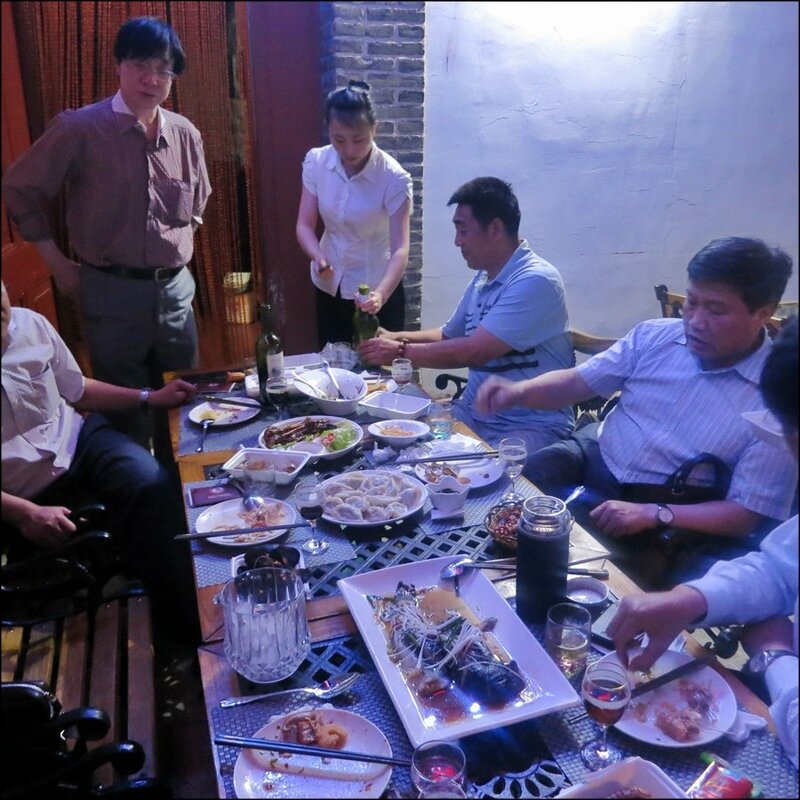 Please excuse the somewhat blurry photo of Cathleen Ms. Wang Ling), but it captures the feel of the evening very well: a comfortable evening meal, followed by a few hours of sometimes serious and sometimes humourous watch talk combined with relaxed friendship. 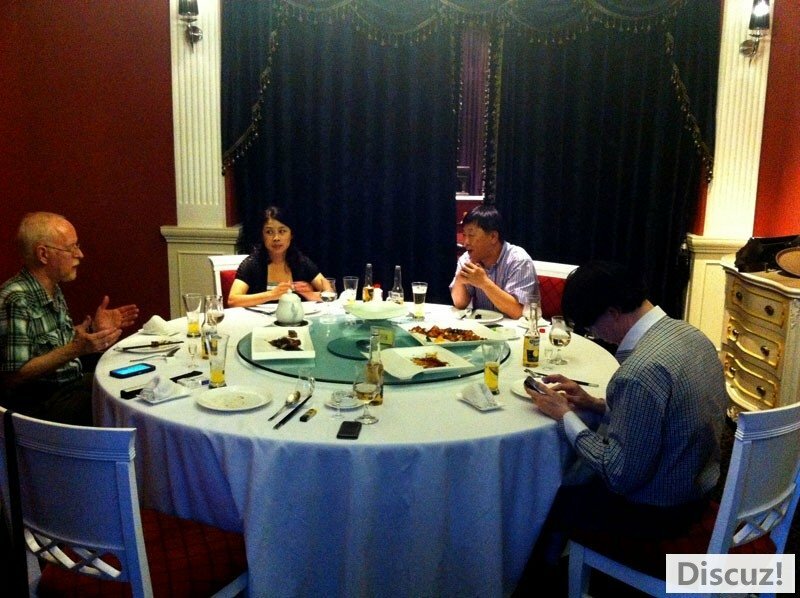 Although this photo was taken during a period of more serious discussion, Mr. Zhang has a very friendly nature and an easy smile and he very kindly remarked to me early in the evening that he'd known right away when we met that he and I would get along very comfortably, and I'd felt exactly the same way, just as quickly. 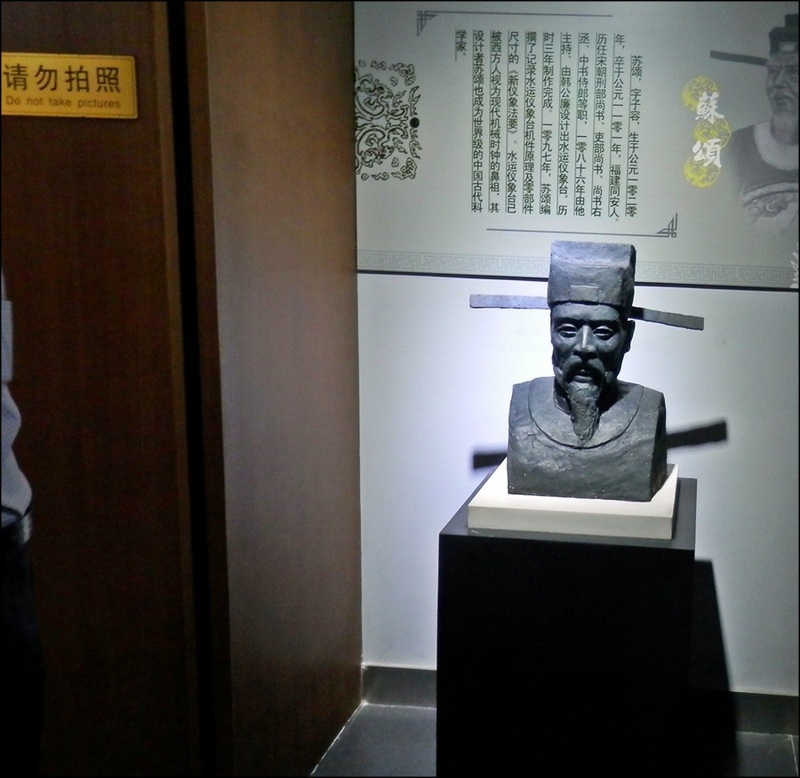 I look very forward to seeing Mr. Zhang at next years's Beijixing 100th Anniversary celebration and I'm grateful for the invitation. 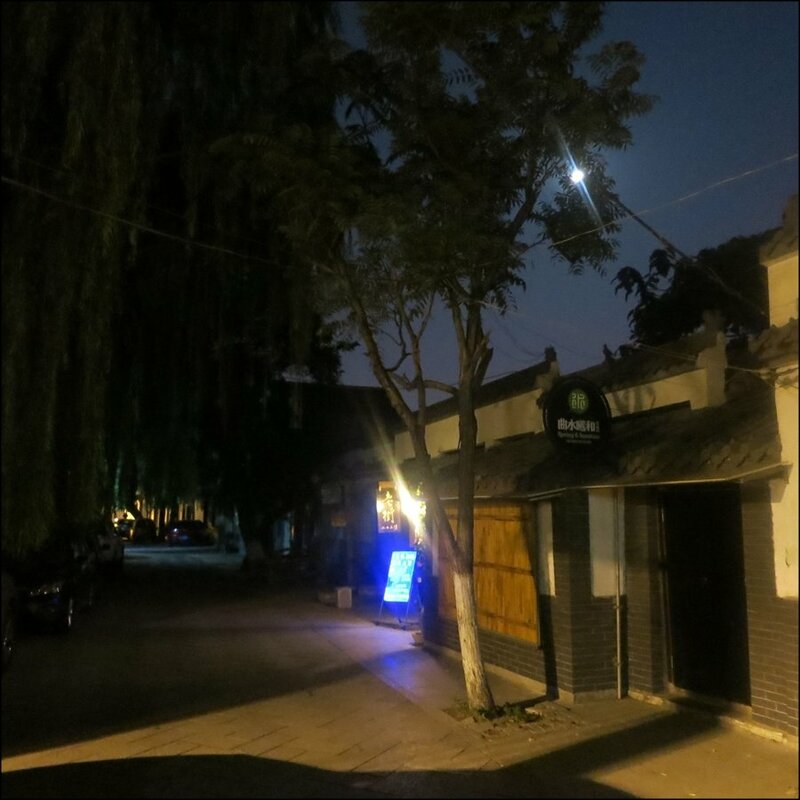 The last two photographs were taken as I tried to walk somewhat straightly back to our hotel, accompanied by LiWei and Mr. Zheng, the calligrapher, as we had a busy day coming tomorrow: a return trip to Beijixing;'s main factory building to see the Factory watch and clock store, followed by a trip to a suburban beijixing faciltiy where high end clocks (including the Beijixing Polaris 100th Anniversary limited edition clock) are made, followed by visits to two smaller but successful high end clock manufacturers and another great luck, before I was taken to the Yantai airport for my flight to see my brother MaRong. 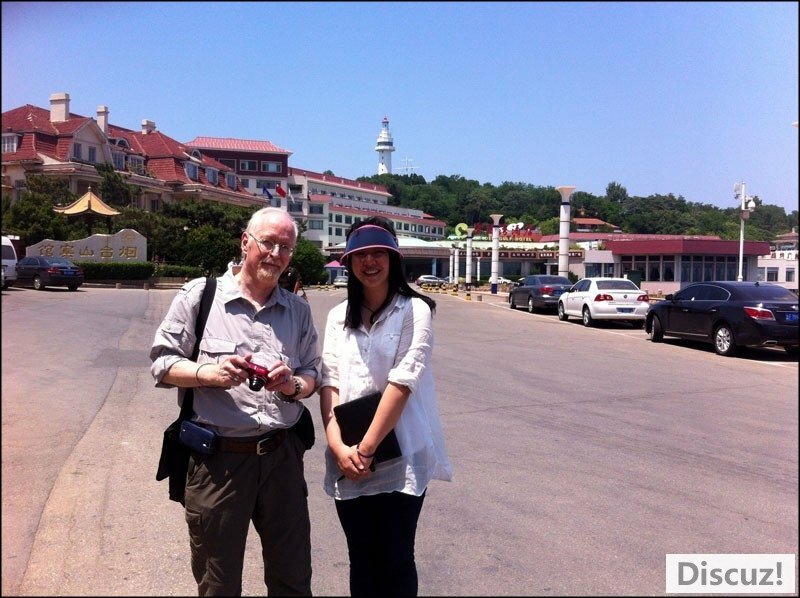 It's been a year too long and I was looking very forward to seeing him and QiRan, his wife, again.